I am leaving on a red-eye tonight and my husband and son have mentioned numerous times that they’re going to miss me. 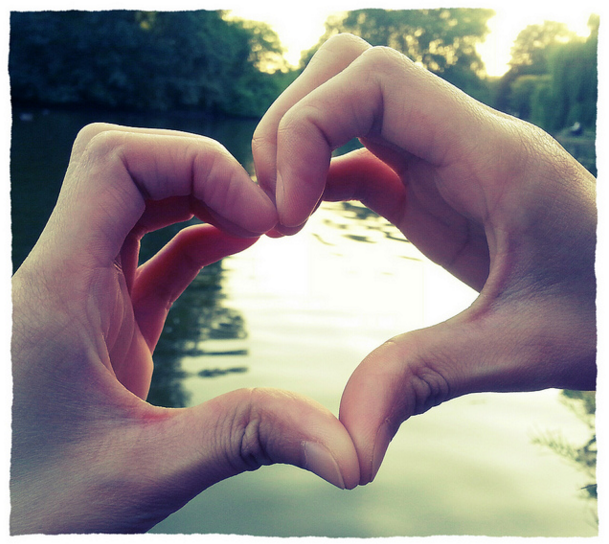 As I get out of the car and hoist my bag onto the curb, I look back to see my son’s sad eyes through the back window, and then he forms a heart with his hands. And mine cracks a little. Being missed can be painful when you’re a business traveler. I’m only to be away for three days. But I feel guilty. Guilty that I’m leaving, but mostly guilty because I won’t miss them. It’s not because I don’t share their feelings. It’s because for the next three days I will be barraged with meetings and social events, problems to solve and victories to celebrate, and the stress of being in a noisy, bustling, unfamiliar city. I won’t have the time or energy to miss them like they miss me. My heart broke with shame that I had somehow interpreted this as a tactical issue, but then again at how sweet it was that my absence was felt. I’m trying to get OK with being missed. I know it means I have people in my life that care a lot if I’m around or not. But some gifts are harder to receive than others. Now, my flight is boarding and there will be no looking back for three days. I text my son a simple heart emoji. That will have to do for now. 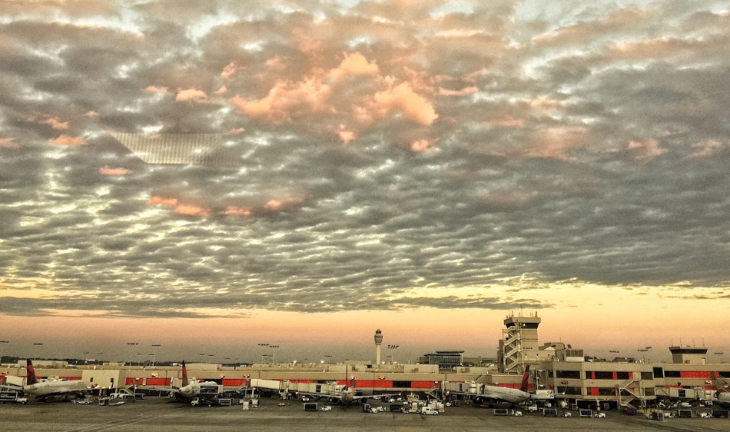 For the past three years, we’ve seen one blockbuster summer after the other… with each season breaking records in terms of the number of travelers on the road and in the skies. It’s been crazy out there. But despite the heat and the crowds, we’ve all survived, had great vacations or business trips, and returned home safely. This year, I predict we’ll see a similarly busy summer, but with some differences you should know about. First, let’s take a look at demand, which remains healthy. How healthy? Well, according to Best Western Hotels & Resorts, advance bookings for peak summer season at its 2,000+ hotels in the U.S. are up 6.9 percent compared to this time last year. Plus, travelers are staying longer— the number of room nights booked at Best Western’s U.S. hotels is up 9.9 percent. Advance bookings are even stronger in Canada– up 14.8 percent compared to last year, and room nights booked are up 20.5 percent. 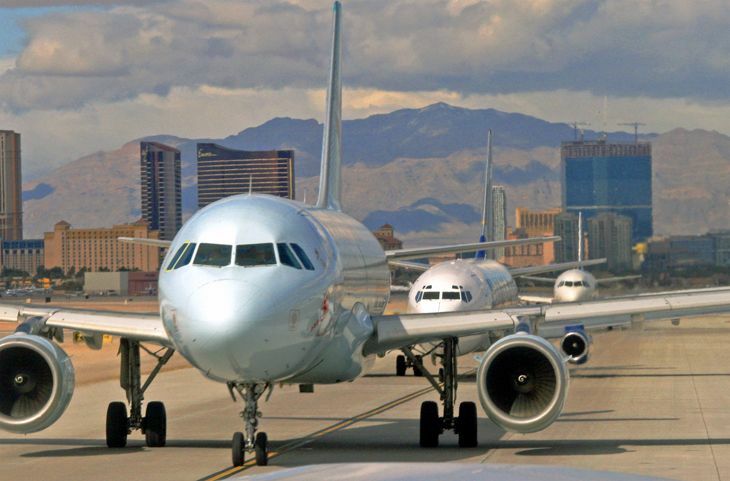 Airlines in the U.S. will see a very busy season, too, with a record 234.1 million passengers expected in June, July and August, which is four percent more passengers than last summer according Airlines for America, the industry trade group. 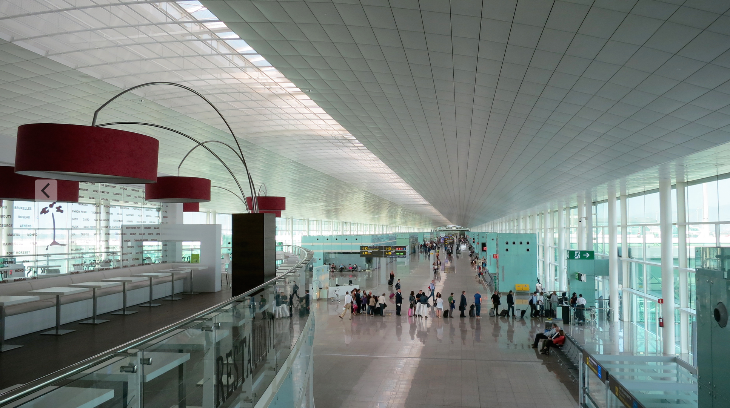 It also says that the nation’s airports will handle 100,000 more passengers per day than last summer. 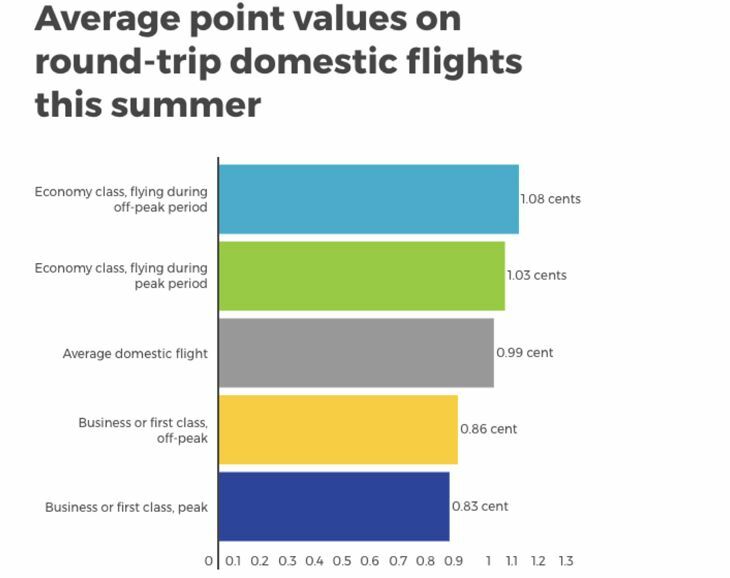 More competition and lower fuel costs are resulting in airfares that are flat to down slightly compared to last summer, which is attracting more flyers. Consumers have spent $19 billion on airfare year-to-date, a 4.3% rise over the year-earlier period, according to the Airlines Reporting Corp. Peak season hotel bookings in the U.S. are likely up due to a strong economy and increased interest in road trips after the string of airline customer service snafus exposed in social media this spring. 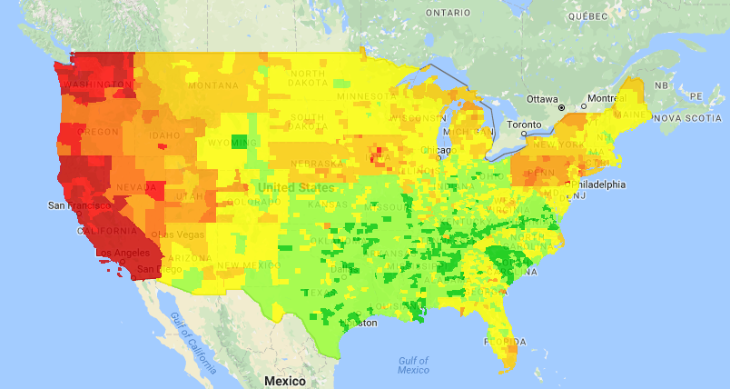 In addition, low gasoline prices are making road trips an even more attractive option. 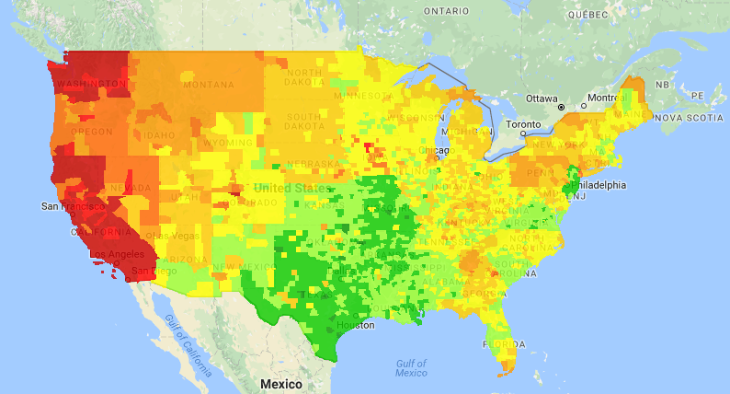 A May 2017 Gasbuddy.com survey of 1,500 users found that 82 percent plan to take a road trip this year- that’s up 7 percent over last year. 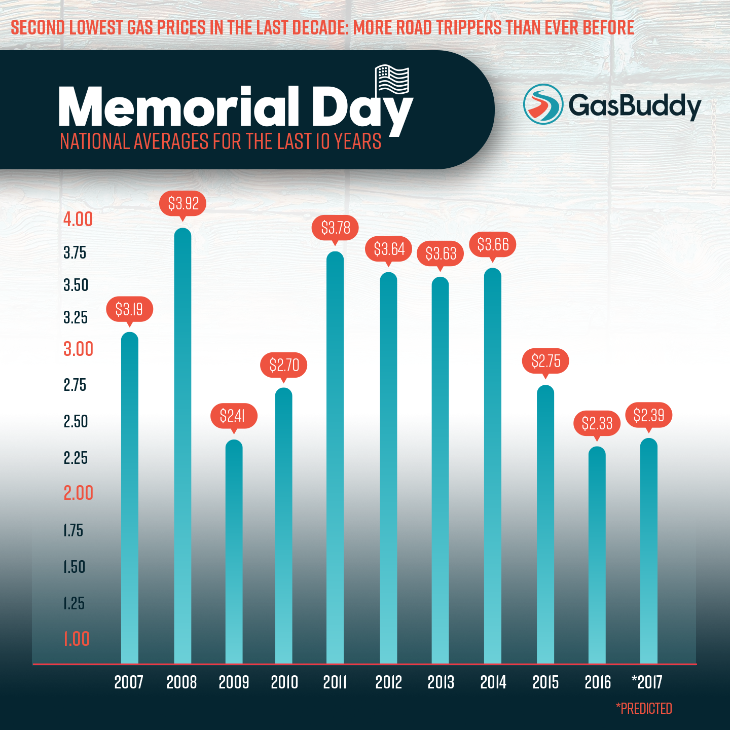 Gasbuddy points out that the normal springtime gasoline price increase was only 1.5 cents this year compared to the average spring season increase of 47 cents. 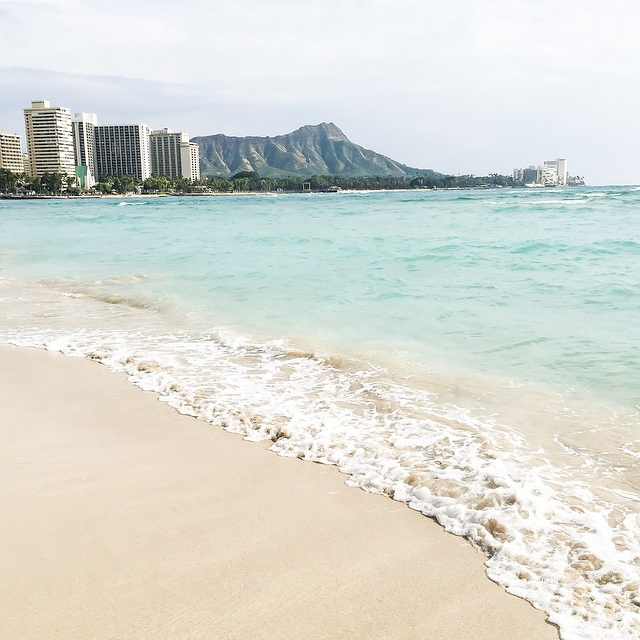 With summer just around the corner, let’s take a look at the trends that will shape our travel experiences over the next four months. First, expect a mass migration from the U.S. to Europe this summer. Transatlantic airfares have hit new lows due to increased competition from low fare carriers forcing established carriers to match the discounts. 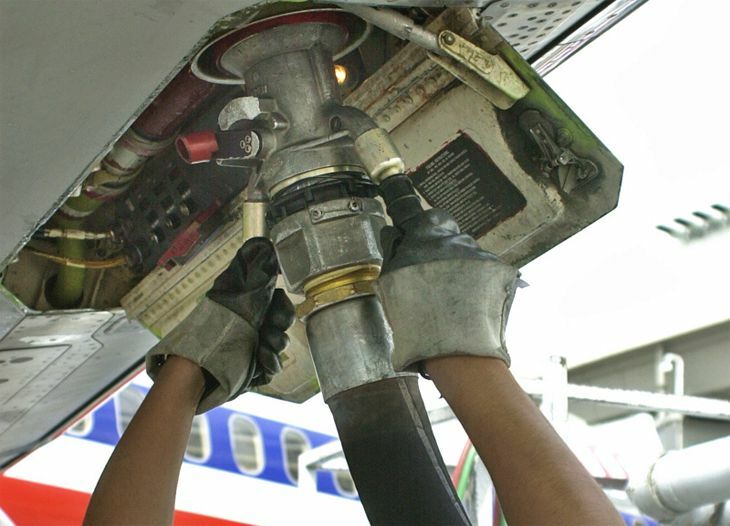 These days airlines can lower fares relatively painlessly because they are paying so little for jet fuel. In addition to airfares, the U.S. dollar is still very strong against European currencies, making summer trips across the pond even cheaper for Americans. The opposite is true in Europe, where a strong dollar is forcing Europeans to reconsider summer trips to the U.S. Lower demand from Europeans means lower airfares for Americans as airlines scramble to keep seats full. Lower demand from Europeans should also help keep prices low in the U.S. cities and regions historically attractive to Europeans- think New York, San Francisco, Los Angeles, Miami and the desert Southwest. Fly midweek: If possible, try to fly on Tuesday, Wednesday or Thursday to avoid those lengthy lines at airport security checkpoints. 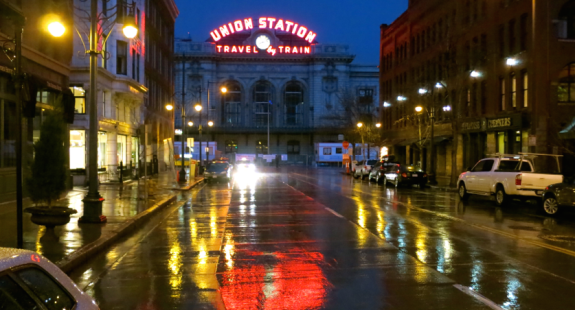 Bonus: Fares for midweek trips are usually slightly less than those on more popular weekends. 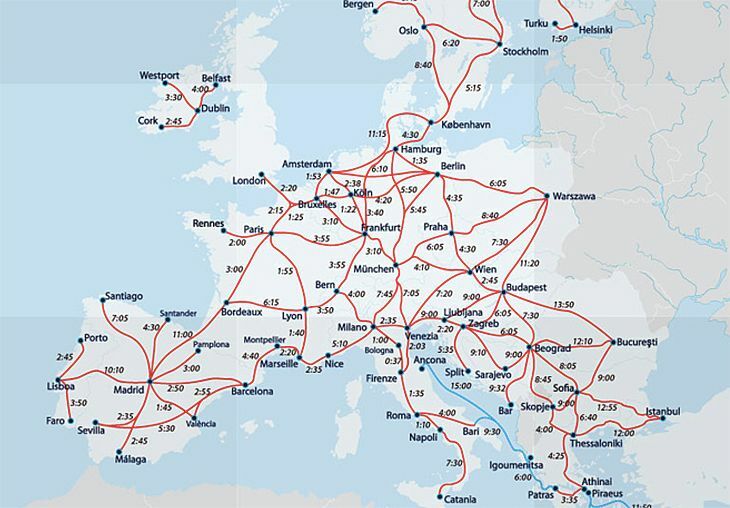 Last minute: Low demand for European flights (by Europeans) could mean that we’ll see even lower last minute fares on transatlantic routes later this summer. Monitor this by signing up for fare alerts on specific routes on sites like Google Flights or Kayak. Don’t wait: For domestic trips, make reservations NOW if you have specific dates and destinations in mind. The most convenient flights, the hotel rooms with ocean views, or the right size rental car for your family will likely sell out soon. Get to the front of the line and reserve now to get what you want. Otherwise you could be stuck with inconveniently timed flights, wrong-sized rental cars, or hotel rooms with parking lot views. -Fees for checked, or in some cases, carry-on bags with charges may apply per leg, which means you’ll pay four fees for a round trip from say, San Francisco to Paris via Reykjavik on Wow Air. Go. Get. Rewarded: In addition to spending time with friends, family or colleagues this summer, it’s always nice to earn something more. 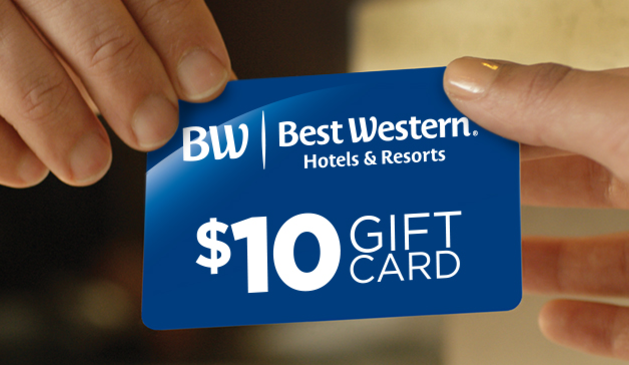 For example, you can go get rewarded at all Best Western branded hotels this summer, earning a $10 gift card for every night, with no limit on how many nights you stay. Registration is required at BestWestern.com/summer. Plus, Best Western Rewards members save 10 percent when booking direct on bestwestern.com. Pay more, get more: If you are headed to work when everyone else is going on vacation, treat yourself to an upgrade this summer. You can avoid the flip-flop and beach ball crowd by paying a fee (around $50) for a one-time pass to an airport club, or slightly higher rate for a hotel on a quieter concierge floor. Also, airlines frequently discount first and business class seats during summer months, so they end up not much more expensive than inflated economy class tickets—so don’t forget to compare when searching fares. Most important during summer: Ask for a room that does not face the noisy pool area. Timing: While transatlantic fares are dropping, domestic fares are inching up. 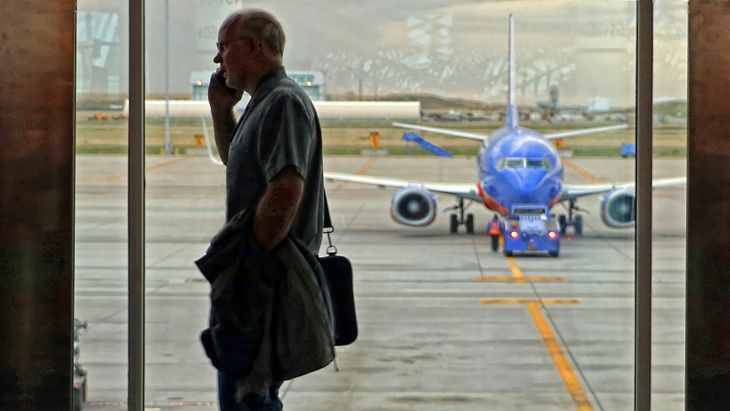 Airlines usually offer some pretty good fares for travelers willing to travel early or late in the summer, but those sales did not materialize this spring. That’s a sign to me that domestic demand is high and airlines don’t feel like the need to discount to fill their seats. More cars: Higher fares will push many domestic travelers to the highways instead of the skyways this summer, with low gasoline prices luring them. 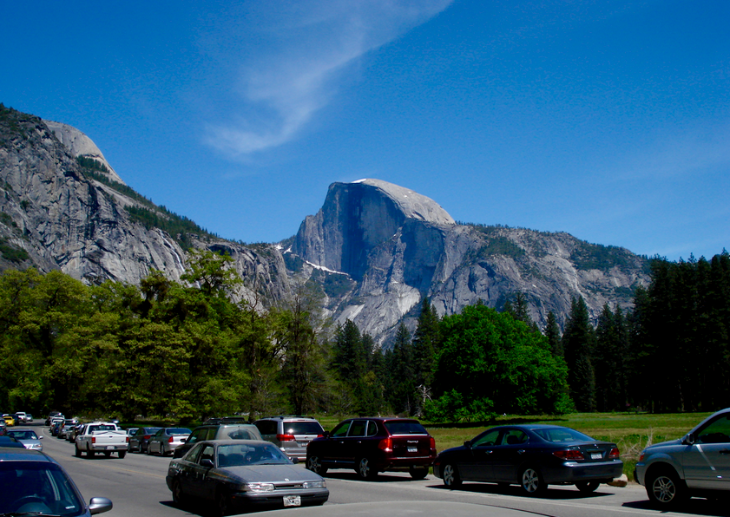 That means more cars on key summertime routes in or near National Parks, beaches, recreation areas and major cities. 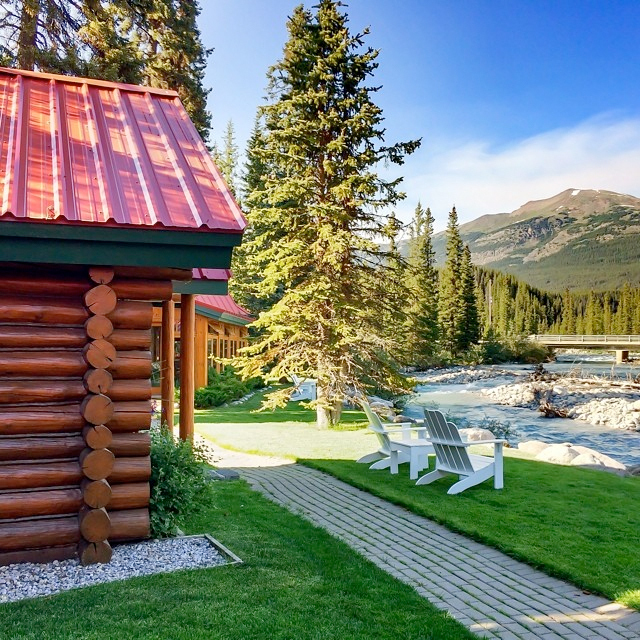 During the peak of the peak season (June 20-August 20) road trippers should always make reservations for roadside hotels a day or two in advance if possible. Otherwise, you may end up finding a full house at the end of a long day and the possibility of having to drive later into the night than you want…or end up sleeping in your car! 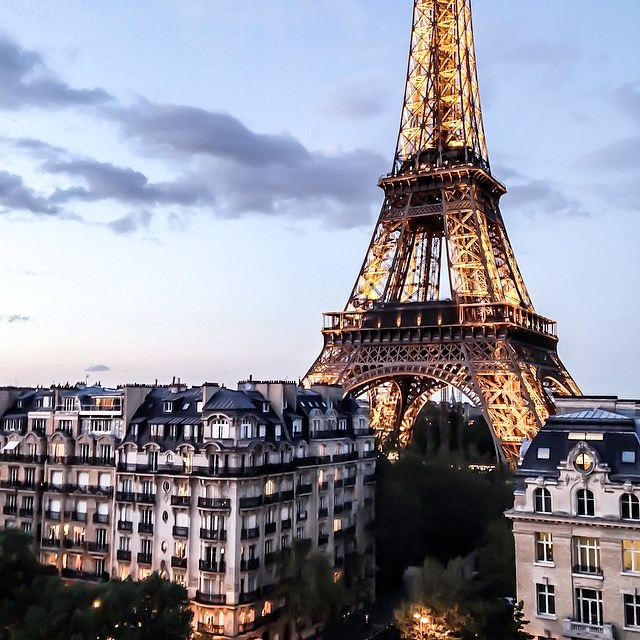 Off the beaten path: If you are headed to Europe and don’t like crowds, try to stay away from Paris, London, Rome and Barcelona during the peak of the peak summer season. Consider countries such as Poland or Portugal instead, which you’ll find less crowded and less expensive. The Trump Administration’s ban on travel to the U.S. for citizens from seven mainly Muslim countries is likely to hurt global business travel, according to a new poll. The Global Business Travel Association last week surveyed its membership of corporate travel buyers and found that 31 percent of the respondents expect Trump’s executive order to result in a reduction in their company’s business travel over the next three months. Some 29 percent said they expect that dampening effect to continue over the following three to six months as well, and 28 percent said it could well keep hurting travel over the next six to 12 months and beyond. 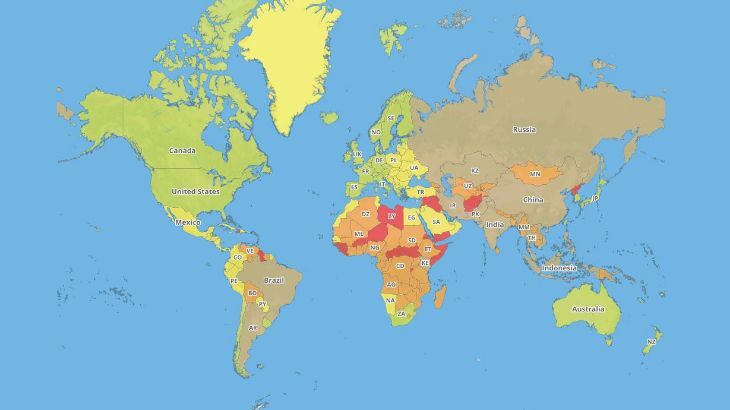 A majority of respondents – 63 percent – said they expected to see other countries respond to the ban by making travel more difficult for Americans, while 56 percent said it could lead to difficulties for travel to the U.S., and 54 percent were concerned about an increase in threats to U.S. travelers abroad. When asked about top concerns regarding the immigration ban on their company’s business travelers, “uncertainty regarding green card and approved visa credibility to enter the United States (55 percent), harassment of U.S. travelers to and from the Middle East (50 percent) and increased traveler harassment in general (50 percent) topped the list,” GBTA said. Asked about their own views on the ban, half of the respondents opposed it while 38 percent supported it. The ban – which affects citizens of Iraq, Syria, Iran, Libya, Somalia, Sudan and Yemen – led to massive confusion and demonstrations at major U.S. airports over the last two weeks. And after a weekend of adjustment, it appears that we are back to business as usual at US airports and borders, but that could change quickly. Have you had any personal experience around the travel ban? 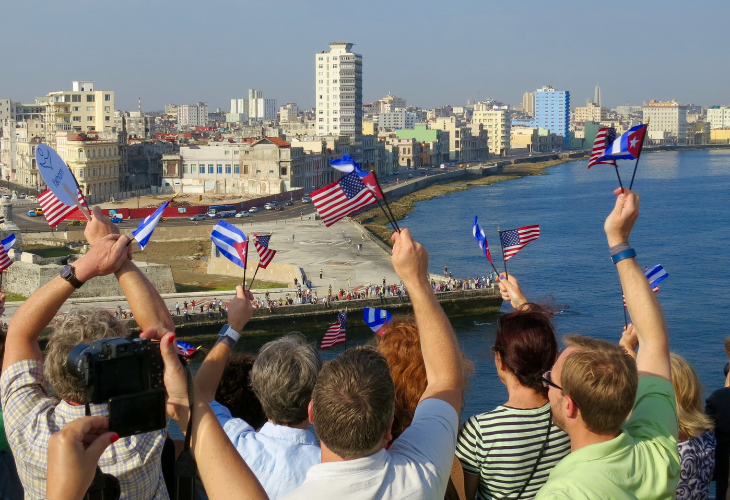 Do you feel different now traveling as an American abroad? Please leave your comments below. Calling all Travel Geeks! It’s time for another fun TravelSkills trivia quiz. 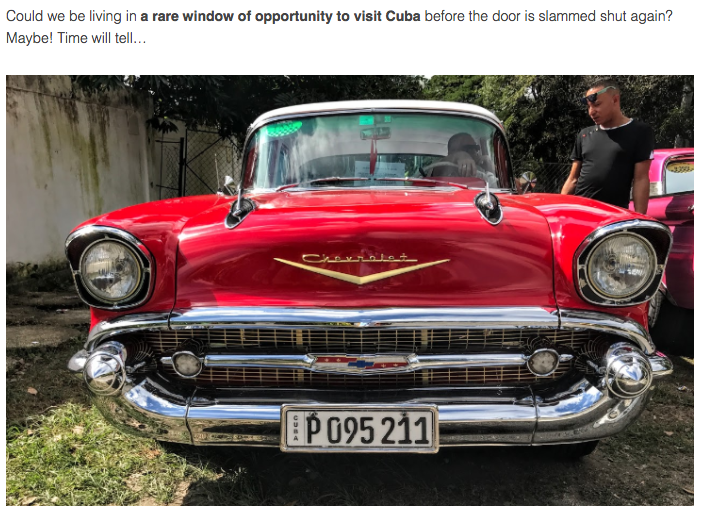 This time, we are testing your general travel knowledge and finding out how closely you have read and retained the news, tips and tricks from the TravelSkills blog. Take our easy 3-minute, 12-question trivia test below. If you are stumped for an answer, just search for it in our search box. Easy! If you can’t see what’s embedded below, here’s a link to it. Take it now and get your score! Based on your performance, you’ll be deemed Very Smart, Devoted Reader, Getting There or Keep Reading. Which one are you? Tell your friends and compare scores! Tweet your score and encourage others to take the quiz using the #TravelSkills hash tag for a chance to win a free one-time pass to the United Club! Cleverest tweet (as judged by Chris) wins the United Club pass on Feb 28, 2017. So far, readers have answered correctly the question about a big NYC hotel undergoing extensive renovations. Most frequently answered IN-correctly is a question about the cost of in-flight wi-fi. Come on and take the test! Are you a loyal AAdvantage member who’s been saving up your miles so you can book a nice vacation for later this year? Then you might need a reminder that American’s award travel chart will be changing effective for bookings made March 22, 2016 or later. 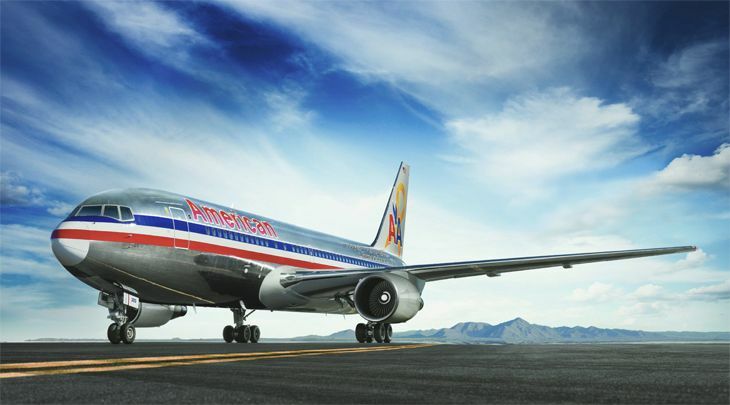 American announced the award chart changes last fall, but many AAdvantage members might have overlooked them since the bigger part of that announcement concerned the program’s coming transformation from a mileage-based to a spending-based earning system starting later this year. Anyway, there was some good news in the award cost overhaul – e.g., starting March 22 AAdvantage will introduce a new category for flights of under 500 miles in the U.S. and Canada, starting at 7,500 miles for a MileSAAver economy cabin ticket. And a MileSAAver award to the Caribbean in economy drops from 17,500 to 15,000 miles. But there are some increases as well, most of them targeting the MileSAAver awards (which are subject to blackout dates and availability limitations). MileSAAver economy class awards for off-peak travel increase from 20,000 to 22,500 for Europe, and from 25,000 to 32,500 for Japan/Korea. 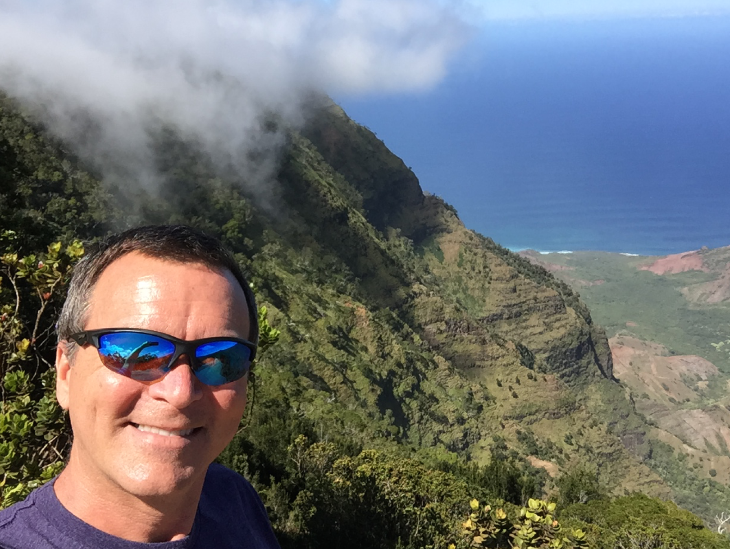 A business class MileSAAver award to Hawaii rises from 37,500 to 40,000, while one to Europe increases from 50,000 miles to 57,500, and one to the South Pacific jumps from 62,500 to 80,000. 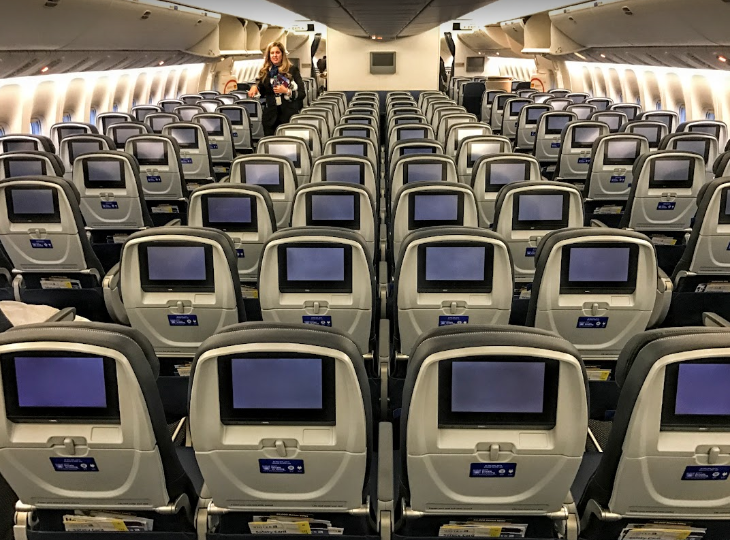 First class MileSAAver awards increase from 47,500 to 65,000 for Hawaii; from 62,500 to 85,000 for Europe; and from 67,500 to 110,000 for China/Hong Kong. 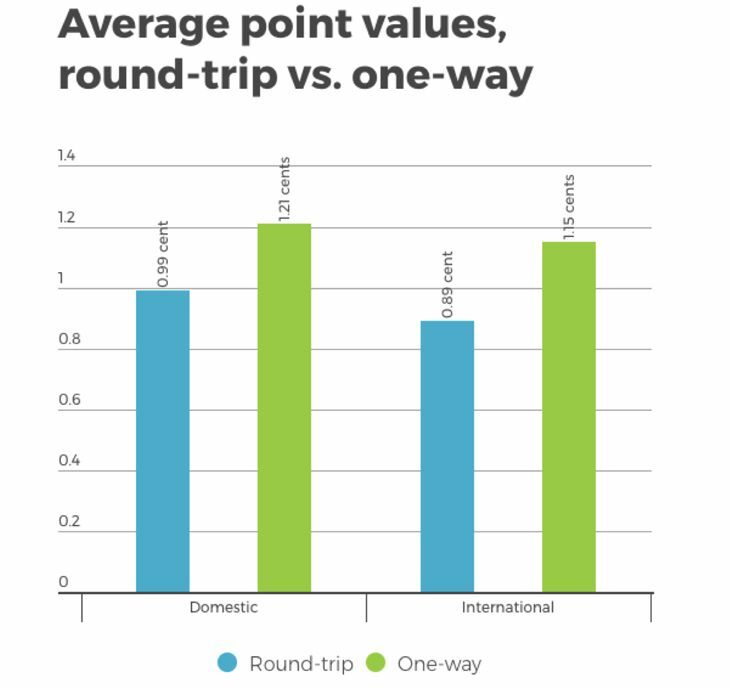 Award travel prices are one-way, and they are subject to taxes and “carrier-imposed fees” that “vary by itinerary and are based on trip origin and destination,” American said. The existing award travel prices can be found here; that page also has a link to the new award levels that apply for bookings made March 22 or later. What’s faster: Hypersonic or supersonic? Back when their airline was flying Concorde SSTs, some British Airways executives used to refer to a trip on that plane as “riding the rocket.” And indeed, when the engines really kicked in during takeoff, you could feel the G forces pressing you back into your seat. But now researchers in Germany are exploring advanced technology that could bring new meaning to “riding the rocket” — at speeds that would leave Concorde in the dust. The Concorde only hit a top speed of about Mach 2, or twice the speed of sound. 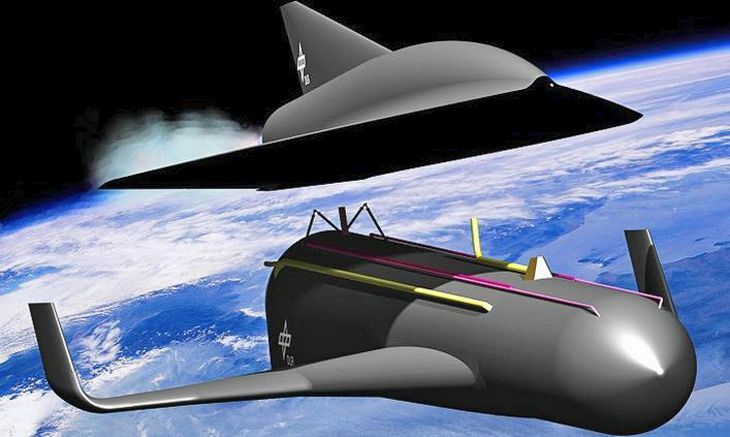 But researchers at the Institute of Space Systems in Bremen, Germany, are developing a “hypersonic” airliner that could reach speeds of Mach 25, according to CNN. Hypersonic refers to travel at more than Mach 5. That means flying from San Francisco to Paris in less than an hour, or from the U.K. to Australia in an hour and a half. The institute’s SpaceLiner would consist of two parts, like the U.S. Space Shuttle — a rocket booster and a passenger vehicle. The booster would lift the SpaceLiner into the mesosphere — about 50 miles up — and then would separate, leaving the passenger vehicle to proceed to its destination under the power of its own pair of rocket engines. The unmanned booster stage would return to earth for an automated soft landing, making it reusable — unlike the Space Shuttle’s booster rockets, which fell into the sea. The passenger vehicle would carry about 50 travelers, vs. 100 for Concorde. Like any rocket, the SpaceLiner would take off from a vertical position, although the G forces encountered by passengers would only be about 2.5 Gs, or less than you’d experience on a modern roller coaster. Whether you are booking a family vacation or planning a business trip abroad, there is always a chance something could interfere with those travel plans. That’s why news reports from New York Times’ Seth Kugel to Consumer Reports have covered the benefits of travel insurance. It has plenty going for it. help if you must cancel a trip. help pay for reasonable meals and a hotel stay if a flight gets delayed overnight. be affordable. Most policies run 4-8 percent of total trip cost. help cancel a trip due to bad weather or hurricanes. help if baggage is lost, damaged or stolen. cover emergency medical or dental care. offer a 24/7 emergency assistance hotline to help travelers with hospital and doctor recommendations, evacuations, or assistance getting out of a country in time of crisis. offer gap insurance for emergency medical care while traveling. Research travel insurance. Most start their search by researching travel insurance providers online or contacting a licensed travel insurance agent by phone or e-mail. 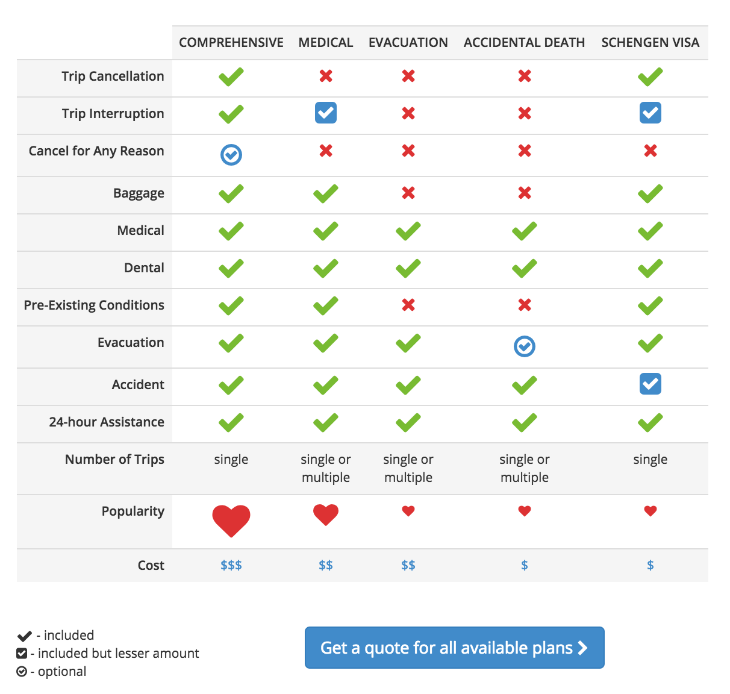 Travel insurance comparison sites, like InsureMyTrip, are also useful for comparing policies from top providers in the industry. 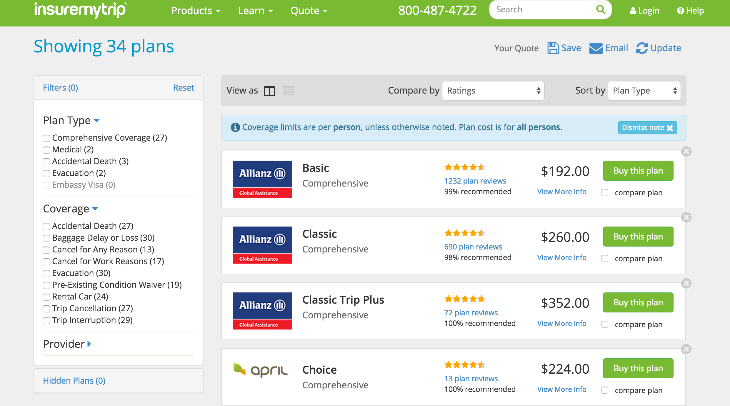 The comparison engine can also filter plans by type, coverage or provider. Read reviews to gain insight. It’s easy for first time travel insurance customers to feel overwhelmed with so many plans and providers. That’s why reviews are so helpful. Read reviews written by real travelers who submitted a claim successfully or had a good experience with a provider’s customer service. If they had a good experience, hopefully you will too. OPTION 1: Comprehensive travel insurance — offers the most protection for travelers. 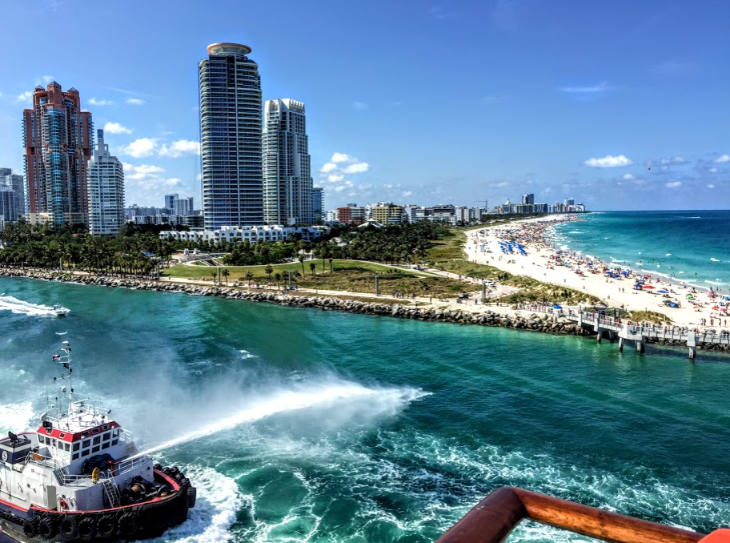 It provides a variety of benefits including trip cancellation, trip interruption, emergency medical evacuation, emergency medical coverage, 24/7 emergency assistance, and baggage protection. Example: For a $5,000 two week vacation to Aruba, a comprehensive travel insurance plan will cost a couple in their 50s around $200. 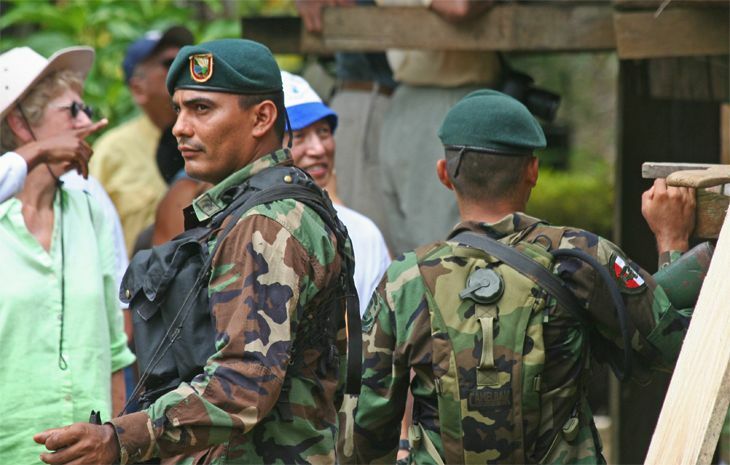 This includes a $50,000 medical limit, $250,000 for medical evacuation in addition to trip cancellation coverage and other benefits. OPTION 2: Travel medical insurance — provides emergency medical coverage, 24/7 emergency assistance and emergency medical evacuation coverage. 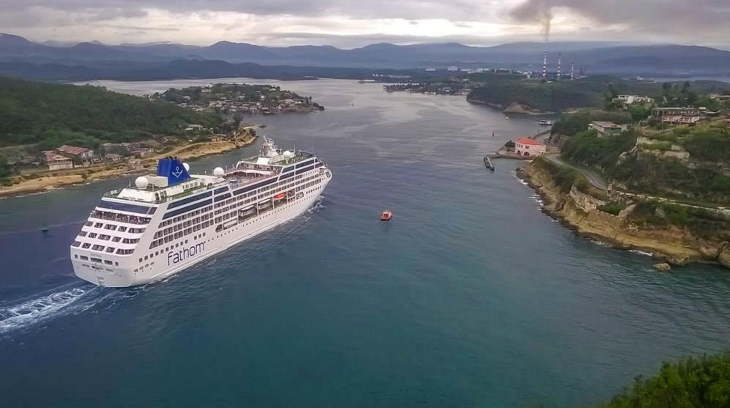 Trip cancellation is typically not included. Example: For the same trip to Aruba, a travel medical insurance plan will cost a couple in their 50s around $80. This includes a $50,000 medical limit with a $250 deductible and $500,000 medical evacuation and other benefits. No trip cancellation benefits. Fill out the application with names and address, etc. Travelers can also reduce risks while traveling by learning about destination-specific medical and safety concerns. The US State Department is a helpful resource. Need more information? Talk to a pro. Visit www.InsureMyTrip.com or contact a licensed travel insurance agent at 1-800-590-2650. 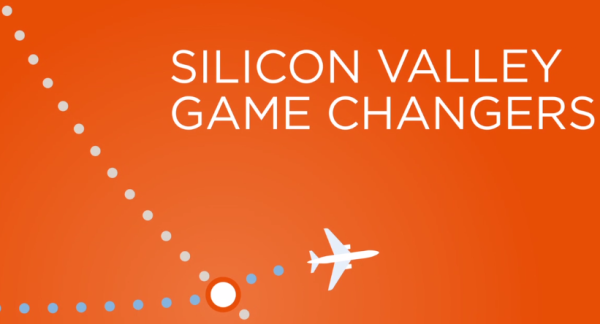 When it comes to innovation, the Bay Area is not all about technology. In this case, there’s some innovation brewing in travel fashion– specifically, what we wear on planes when sleeping in those nice lie-flat business class seats. Last week while strolling down San Francisco’s eclectic Valencia Street, I checked out the Betabrand store and immediately fell for its new dress pant sweatpants which are PERFECT for business travel. Well, they are cut like dress pants– at first glance they appear to be a sharp pair of chinos or wool trousers. But upon closer inspection, you notice that they are made out of sweatpant fabric (“French terry”), which is soft, warm, and stretchy. Combined, they are the perfect pair of pants for overnight travel in business class– very easy to recline or sleep in on the plane, and still look great when you arrive in Brussels or Beijing after a long overnight flight. Check out men’s or women’s “PANTS” via this link for more details/photos and get $15 off. $15 off! Check them out and use our referral link for a $15 discount. When you get $15 off, so do we, so help us get some more pants to try out! What are your favorite travel clothing items? Why? Where did you get them? Please comment below. I’ve been to Barcelona four times. 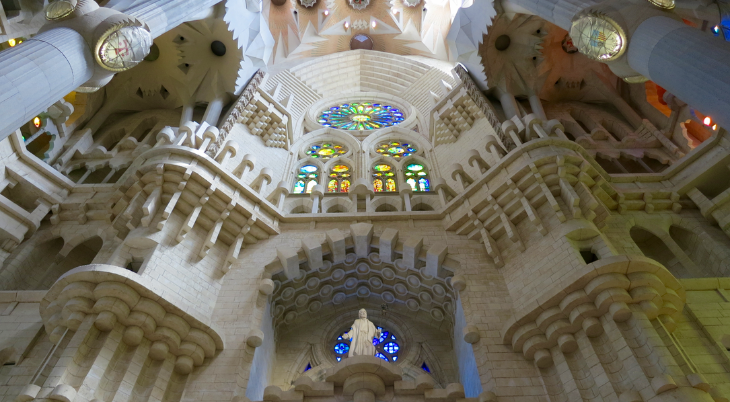 And every time I’ve walked around and peered at the sand-castle-like exterior of the unusually gorgeous Sagrada Familia cathedral designed by Antoni Gaudi. But I’ve never been inside. Why? Because the queue to get in has always been too long, snaking around the building, full of fanny-packing, sandal-and-socks wearing, camera-toting tourists fresh off the tour bus. Usually, by the time I got to Barcelona, finished my meetings and decided to take on the town, it was too late. Online advance bookings for the cathedral were long gone. And there was no way I was going to stand in that line. So I missed out on seeing one of the most beautiful sights in this beautiful city. But my latest trip to Barcelona was different. Instead of coming on my own, I came along as a guest of Monograms, a company that offers a new type of travel package for people like me who: 1) are too busy to make intricate plans and prefer to rely on the opinion of local experts, 2) are independent-minded and enjoy taking in a new city at their own pace, avoiding the tourist throngs, and 3) like to save money. How does that work? Well, Monograms is part of the giant Globus group– you’ve likely seen the ads in the Sunday paper and the big busses and tour groups, I’m sure. But this is not a big bus, group tour. What Monograms does is allow you to hang around on the fringes of those big Globus tours and get all the advantages without being part of the group. 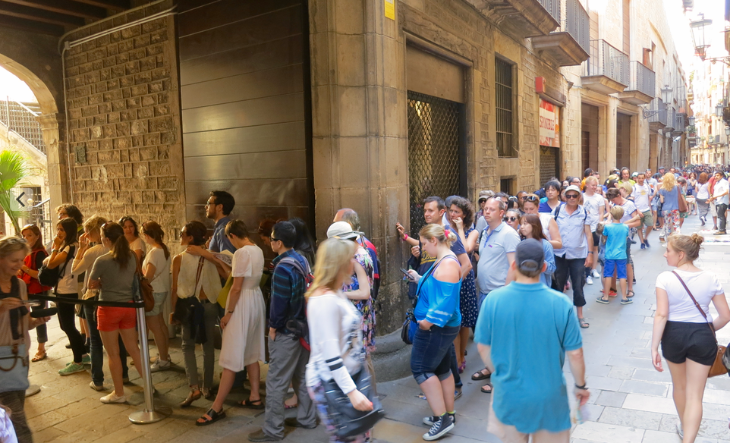 Those on Monograms tours get access to things like private tours and line-cutting privileges at popular, overcrowded attractions. This is especially valuable if going to Europe during what’s expected to be a hot, crowded summer– who wants to wait in line? When I was there, my Monograms guide walked us in the side door of the Sagrada Familia in Barcelona. 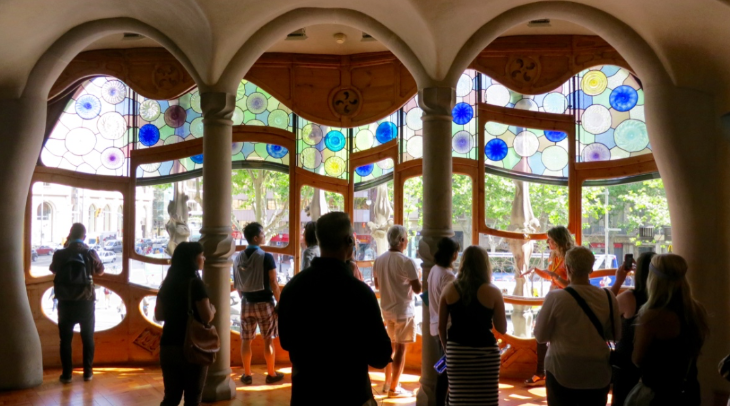 We breezed past the line snaking through the Barrio Gotico for a mesmerizing private tour of the Picasso Museum, and strolled right past the line at Gaudi’s famous Casa Batllo to soak up the amazing and unusual interior. 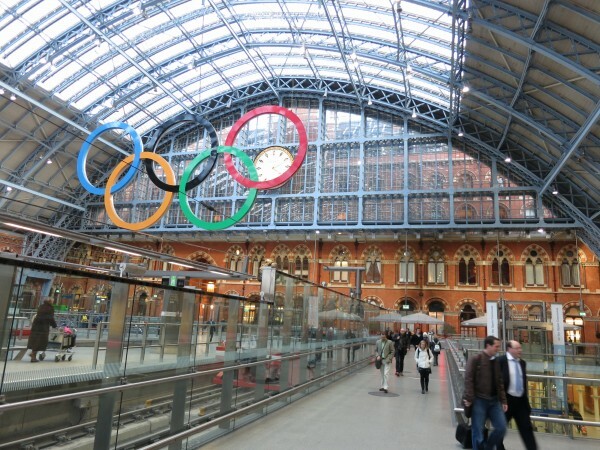 As a matter of fact, we saw all three of these popular attractions in one day– try doing that on your own. After that, I was free to roam around the city on my own… doing what I like to do, which is touring brand new, business class hotels.. my two favorites: The Cotton House (Marriott Autograph Collection) which just opened in February and the Mercer Barcelona (unrelated to the one in NYC) built inside the walls of 2,000 year old Roman ruins. Monograms had a local guide with office hours in the lobby of our hotel. She helped me determine which hotels were newest (by calling her contact at the city’s convention bureau), and then helped put together a map with the most efficient walking route between each one. So instead of just wandering around aimlessly, I had a solid plan and saw exactly what I wanted to…with the help of a local expert. Plus I found out where to find some of the best tapas in town afterwards. Speaking of hotels, Monograms offers the bulk buying power of Globus to get deeply discounted rates at 3-4 star hotels. 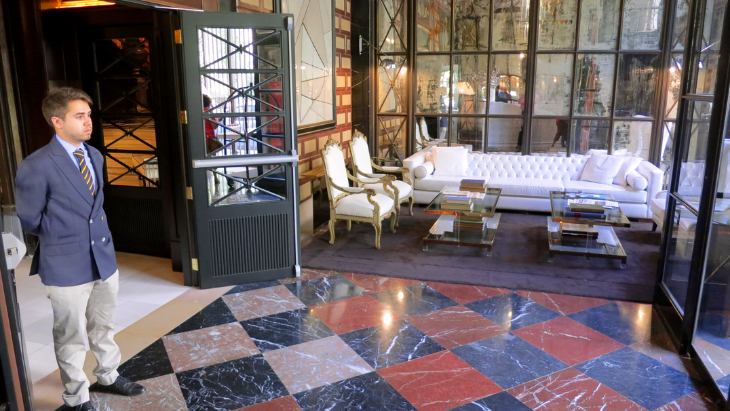 The hotel they chose for us in Barcelona, the Catalonia Ramblas (4-stars on TripAdvisor), is centrally located, offers fast and free wi-fi, big rooms and the most amazing breakfast buffet in town– all included in the rate. Transfers to and from the airport cost an extra $35. 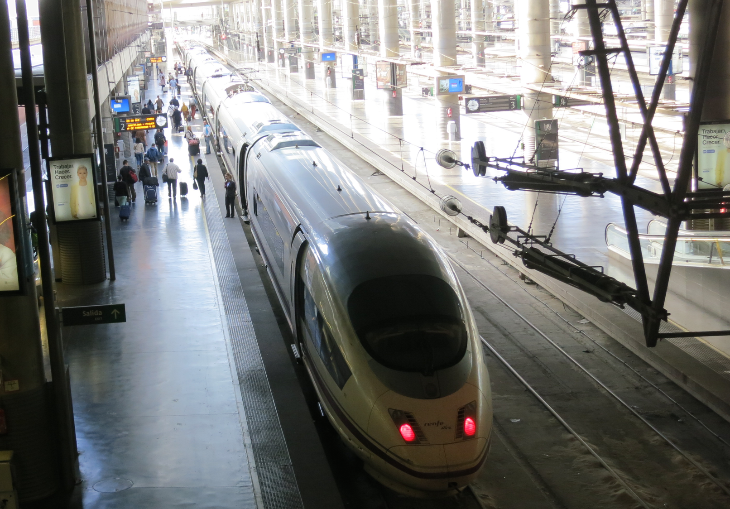 They also negotiated a special rate for a first class seat on the high speed rail trip between Barcelona and Madrid, including hotel transfers on both ends. So you end up with the best of all worlds with this product– lower prices, exclusive access and local knowledge. Yes, you do end up rubbing elbows with the fanny packers… that can’t be avoided, but for the most part, you are truly on your own…but with a helping hand when needed. Monograms‘ all-inclusive packages offer good value, too. For example, a four-day package in Barcelona, which includes 3 nights at the Catalonia Ramblas hotel (which I really liked), breakfast, VIP tours and access to the local host starts at $890 per person (double occupancy) or $1,200 for a single traveler. Three nights at the hotel alone booked on Expedia runs about $1200. Monograms can book air, too. Or you can take care of that on your own or with your frequent flyer miles. If the iPhone is your camera of choice, you’re hardly alone. More and more travelers, especially business travelers, are leaving big, bulky cameras at home and using their iPhones instead. Why not? Small and compact and perfectly portable, an iPhone camera can more than get the job done. Not to mention, the improved cameras on the iPhone 6 and 6 Plus mean there are more functions to help you get that perfect shot. 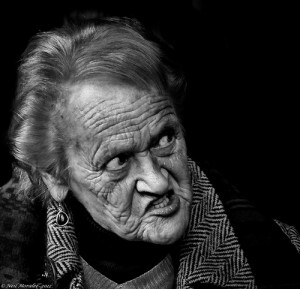 The new iPhone cameras can focus more clearly and have improved face detection and exposure control. The iPhone 6 Plus camera has two significant improvements: improved focus and optical image stabilization (the iPhone 6 only has digital image stabilization). Getting a good nighttime shot is really difficult without a tripod. Just the slightest movement in your hand, which is virtually impossible to avoid, and your photo will be unfocused and ruined. 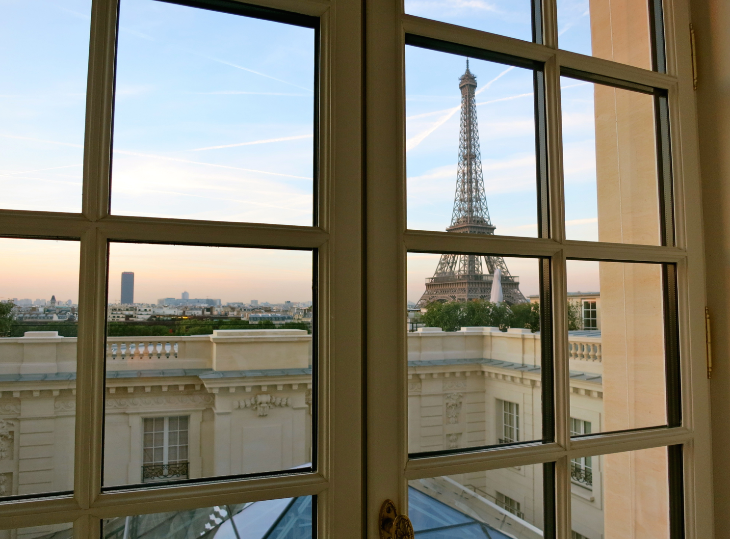 I took this shot at the Hotel Pullman Paris Tour Eiffel. Let’s be honest: the key to snapping this photo was, first and foremost, the spectacular location and view from my room! But to capture the moody color of the sky and the twinkling lights adorning the Eiffel Tower, steadying the camera was essential. Fortunately, I was able to balance my iPhone on the ledge of my room’s balcony to steady the camera and get this shot. But Apple’s iSight camera offers continuous auto-focus and stabilization for both photos and videos so that your shot remains steady when your hands are shaky. 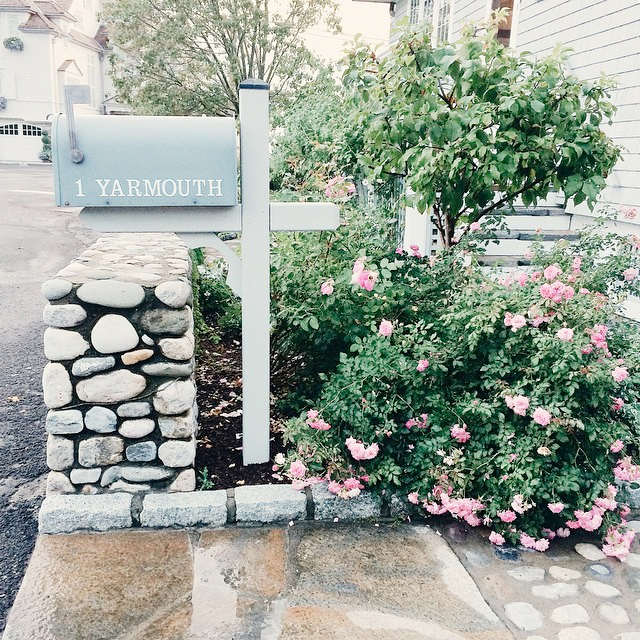 While going for a stroll in Connecticut, I walked right by this pretty vignette. I doubled back and looked at it again and it was just too quaint not to photograph. Remember that some of the best photos will happen when you least expect it. But always having your iPhone in your pocket means you’ll always be prepared to capture those moments. The iPhone camera has HDR capability and there’s photo editing software that can help tweak your photos when needed. 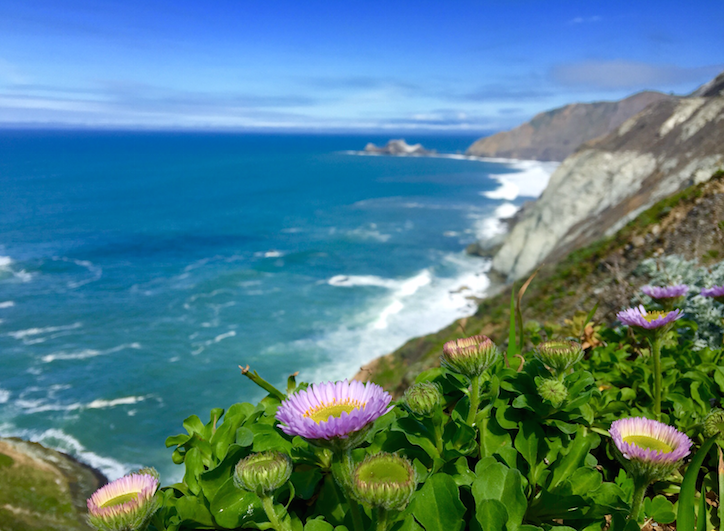 But you can take iPhone photos one step further with photography apps like Pro HDR, which can help take an average photo from ho-hum to hot-diggity! The Pro HDR snaps two photos (one image exposed for the highlights, the other exposed for the shadows) and merges them together to create brilliant colour and clarity. This photo, taken at the Post Hotel in Lake Louise, Alberta, was the first I’d ever taken using the app. I was impressed. Filters can certainly add an artistic look to your photos but choose wisely. You don’t want the filter to alter the mood of the moment so dramatically that it communicates something false. Choose a filter that enhances the photo but keeps its integrity. This photo of the Washington Monument, taken from the steps of the Lincoln Memorial in Washington, DC, does have a filter on it (the Chrome filter, found in the iPhone’s photo editing settings) but I chose something that I felt retained the feeling of that moment, standing under a bright blue sky on a very cold day. Sometimes the best shot is not the one that’s right in front of you. I often find myself walking around, looking up and looking down, trying to find the spot that will yield the best photo. 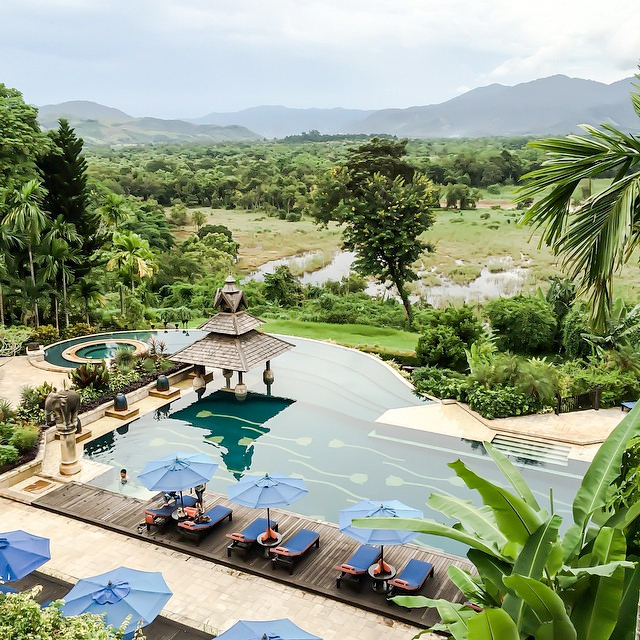 Here in northern Thailand at the Anantara Golden Triangle Elephant Camp & Resort, there was so much to see that I simply had to shoot from above to include as much as possible. It all depends on the story you want to tell with your photo – and in this case, the posh pool plus the lush landscape were a perfect pair. With over 17 million posts using the hashtag #sunrise on Instagram, it’s clear that sunrises are popular. If you’re up early enough to snap that sunrise, then stay up and explore. The soft light of early morning is magical for photos and can provide a completely different look to the same scene shot in the afternoon or evening. Plus, with fewer people around in the wee morning hours, you’re more likely to capture your shot without interruption. 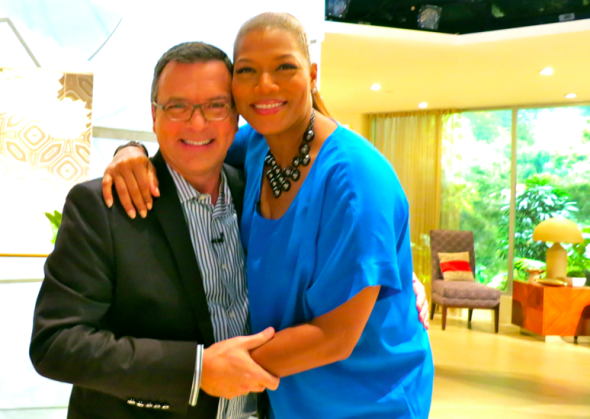 Queen Latifah called for holiday travel advice last week and we delivered! She flew TravelSkills editor Chris McGinnis down to LA (Delta Shuttle), met him at the airport with Mercedes SUV transfers, and put him up at the Hotel Palomar in Westwood for one night. On show day, more limo transfers to the Sony Pictures Studios in Culver City for the taping of the seven-minute segment. The Queen provided my own private green room, with a small sofa, desk, snacks, bathroom. Other guests that day included Cloris Leachman and the Irish band Kodaline. Then a rush to LAX (thankfully the day before the incident at Terminal 3) and back to San Francisco. 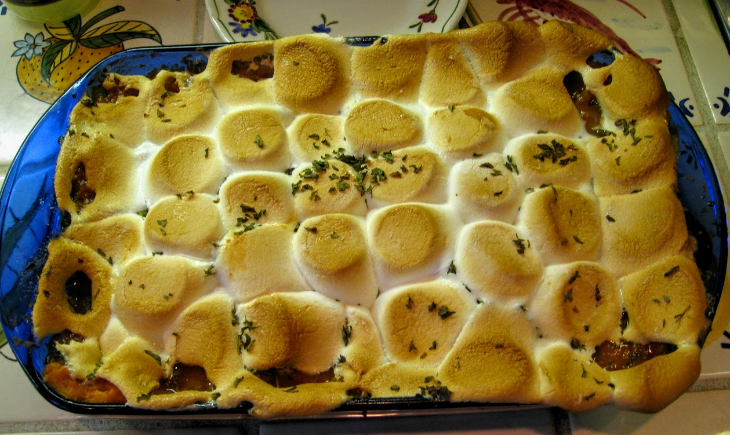 See part of the segment above…. or check out the show notes I sent prior to appearing on the show. 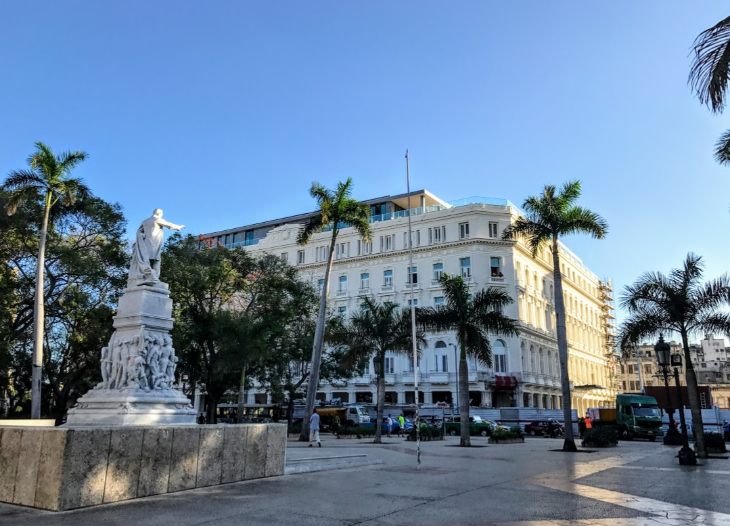 · Alternative travel options that people don’t think about- If you have the flexibility to travel during the slowest times of year, the so called “dead weeks” of early December and early January, you can save 50-70% on airfare. Best sites for deadweek deals: Hotwire.com, TravelZoo. 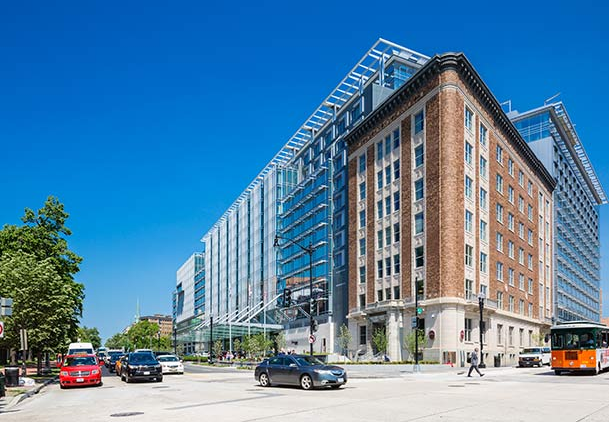 Another alternative is to consider staying over in a hotel when visiting families during the holidays– rates at new hotels in or near suburban office parks are at annual lows during holidays, and facilities are nice. Having your own space at a hotel is a big relief for both the traveler and the host during the stressy holidays. 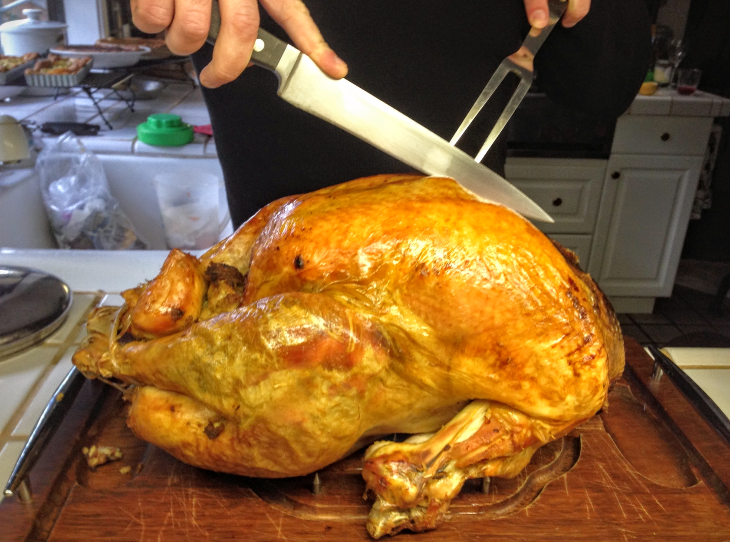 · Luggage issues– Do not check bags during the holidays. If you have too much for a carry on, ship ahead of time, but do so at the “ground” rate at UPS or FEDEX. Shipping overnight or two-day is too expensive. 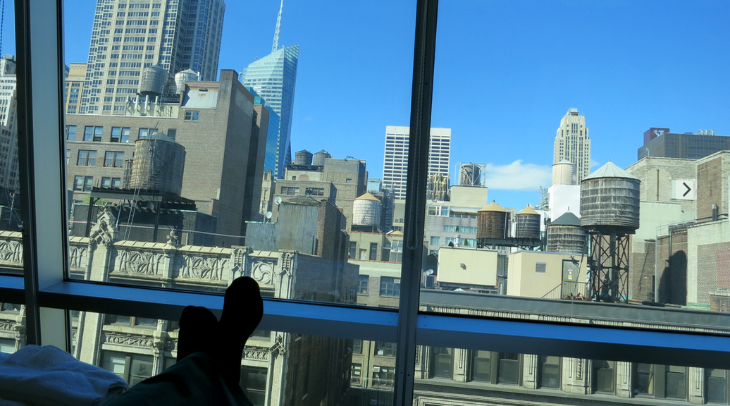 · How to make holiday travel less stressful— see above– stay at a hotel instead of on the lumpy sofa bed of your relatives. Rates are dirt cheap during holiday season. 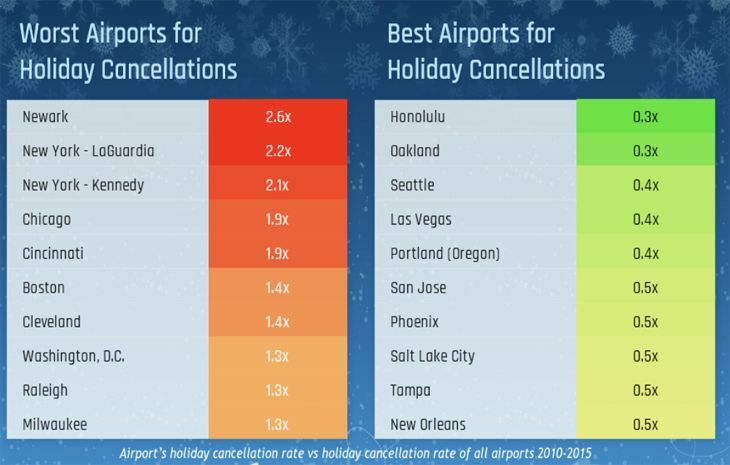 Also, always try to book nonstop flights because you double your chances of a delay or cancellation with a one stop flight, even though you might save a few bucks. 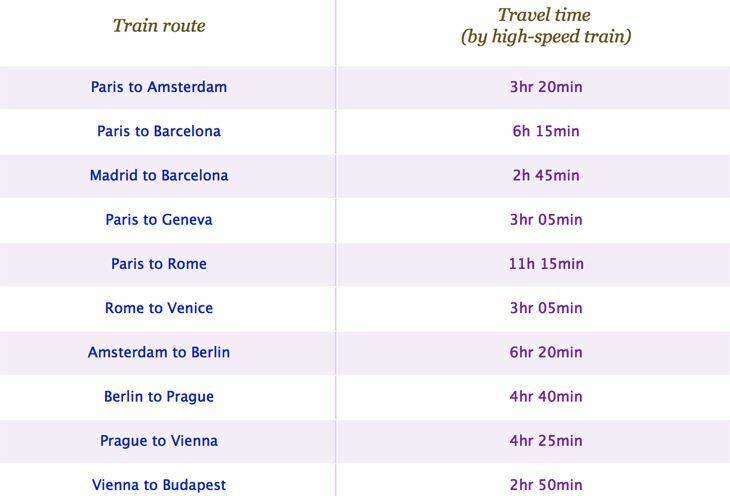 Since Elon Musk (the mind behind Tesla Motors and SpaceX) quipped about a new “hyperloop” high speed transportation system last week, futurists and techies have been abuzz about a new mode of transportation that could eclipse air travel one day—cutting travel time between San Francisco and New York to just 45 minutes, or between New York and Beijing to just two hours. One company called ET3 is apparently working on a plan for “Evacuated Tube Transport” which is loosely based on pneumatic systems once used in banks, offices or hospitals (for those old enough to remember) to transport documents within buildings using capsules inserted into suction tubes. 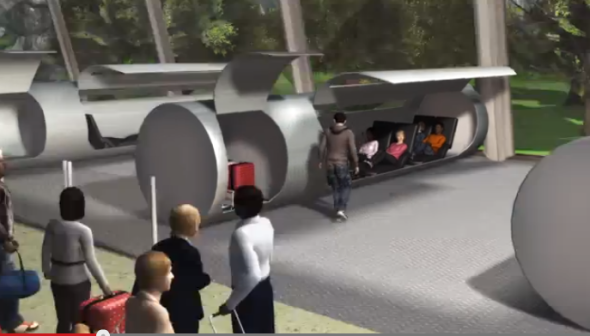 ET3 says that its tubular network could transport 6-passenger, automobile-sized capsules up to 4,000 mph in a frictionless environment inside tubes using magnetic levitation. The company claims that ET3 can be built for a tenth of the cost of high speed rail, or a quarter of the cost of a freeway, and provide 50x more transportation per kilowatt than electric cars or trains. Tubes could be built along US interstates, could travel across Alaska to reach China or even go underwater. Is this the answer to carbon spewing aircraft…or how we’ll be traveling when we run out of fossil fuels? Who knows? But it’s certainly an interesting thought and likely something we’ll be hearing more about. While Musk was short on details, he has described the technology as “a cross between a Concorde, a railgun and an air hockey table.” He hinted that he might have more to say about it later this month. 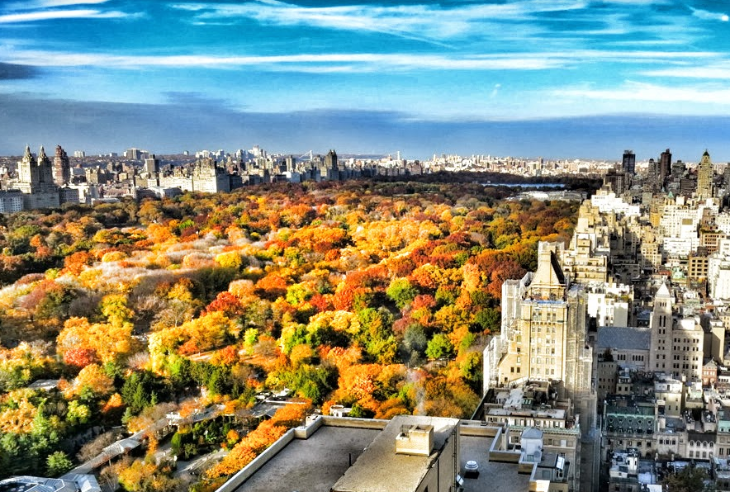 How would you feel about a 45 minute hop to NYC for lunch? Should we be building a hyperloop instead of a high-speed rail line between San Francisco and LA? We’ve got a lot of catching up to do! 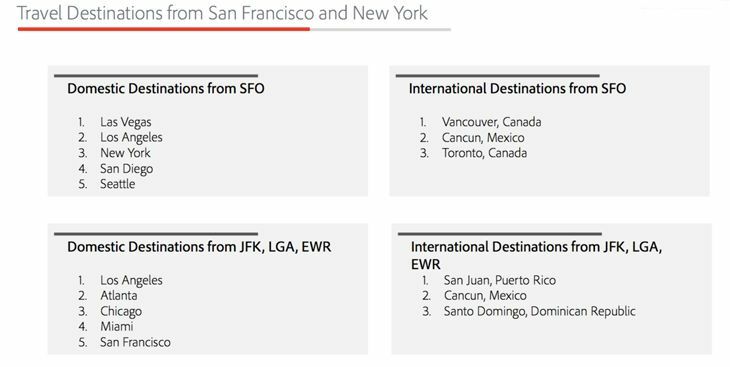 Stay tuned for a “Catching up with Bay Area Travel News” issue later this week, which will include United’s new boarding procedures at SFO, Virgin’s new fast lane, the newest United Club, slow progress on new PS flights to NYC and much more! >Inflight wi-fi. When inflight wi-fi from Gogo or Row 44 works well (which seems increasingly rare), it’s definitely worth the fee to me, especially on transcontinental flights. 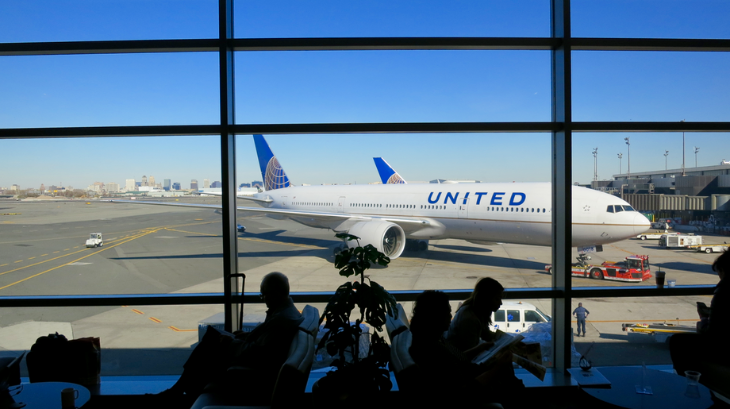 This year, United is installing satellite-based wi-fi on its international fleet. It helps pass the time, keeps me productive and eliminates arriving at my destination to a full email box. $20 for a good connection on a five-hour flight? Sure. That’s money well spent to me. >Airport Club access. Have you ever been stuck in Chicago, Dallas, Houston or Atlanta during the summer thunderstorm season? Hordes of summer vacationers milling around…air conditioning systems straining to keep things cool…then the clouds roll in and gum up the works for hours. That’s the time it’s worth the $50 fee for a day pass to airport lounge. But get there early—once the lounge fills up, it’s open to members only. Also, be on the lookout for new non-airline, pay-to-play lounges such as The Club at SJC, Club at LAS (Las Vegas) or others like it– the per use fee is just $35 and definitely worth it during a long layover! >Hotel Club Floor. When you know a trip is going to be all business all the time (and you don’t plan to get out much), a hotel club, executive or concierge floor is almost always worth the extra cost. When you pay the premium, you’ll likely get breakfast, snacks, booze (sometimes) and heavy hors d’oeuvres at night, free wi-fi, gym and business center access. Rooms are usually slightly larger and likely to be on upper floors offering better views. Plus, you can check in and out in the lounge and not have to wait in lines that can form in the hotel lobby. If I’m not planning to get out much, I’m usually happy to pay the premium of 20% or 30%. A screenshot from BA’s UnGrounded campaign. When airlines hold press conferences, they usually want to show off how passengers can get a good night’s rest in a business class seat that converts to cozy flat bed. Or they will announce their latest celebrity chef-inspired meals or big seat back video screens to keep travelers entertained on long haul flights. That was definitely not the case at a British Airways presser in downtown San Francisco last night. In a total about face, BA’s press conference was all about how they are going to ask 100 big shot Bay Area and Silicon Valley innovators to work during an 11-hour, chartered Boeing 747 flight from SFO to London. And as soon as they arrive, they’ll have to present their findings to a like-minded group of global thought leaders. BA called the presser at to announce UnGrounded a new “innovation lab in the sky” that is designed to get Silicon Valley thought leaders, entrepreneurs, VCs and academics together in the confines of a jumbo jet to help solve global problems. UnGrounded is the evolution of a business networking concept BA launched during the dark days of 2009 called Face-to-Face, which brought together hundreds of entrepreneurs hoping to expand their businesses overseas on free networking flights to London. (See TravelSkills report about BA’s Face-to-Face flights here Below is a video shot during that 2009 flight). “Great innovation only happens face-to-face and our airline facilitates that,” said BA’s EVP, Simon Talling-Smith. 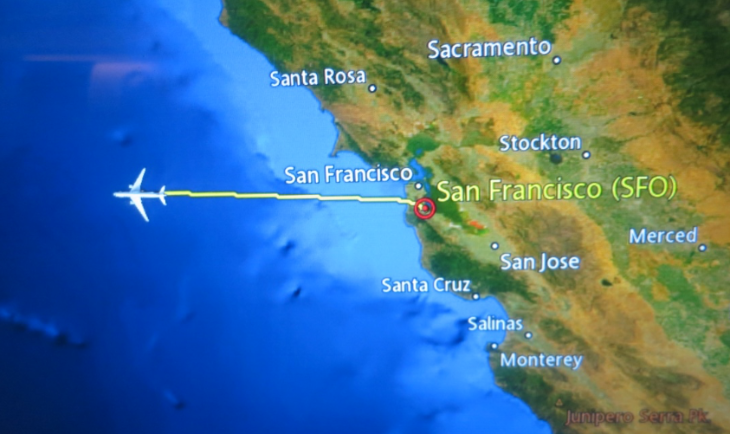 The first UnGrounded flight will depart SFO on June 12. 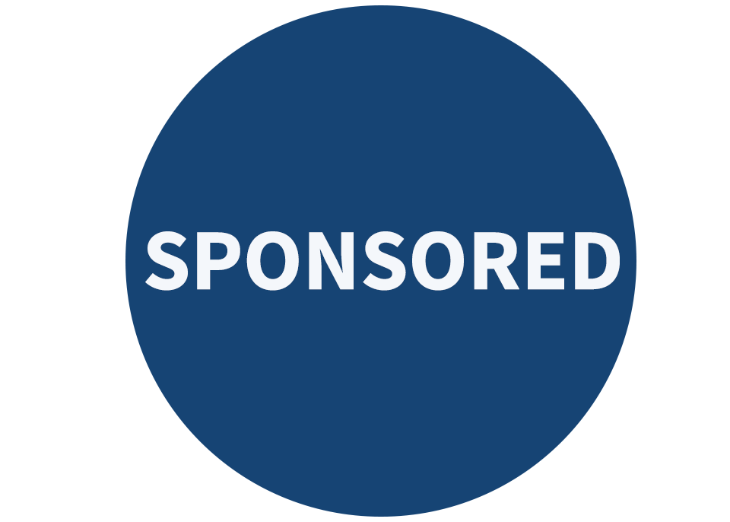 The 100 industry leaders onboard will be tasked with coming up with a platform to help match tech talent with tech opportunities around the world. “The talent crunch is a real issue for companies in major tech hubs around the world. We need to give more people the opportunity to discover and be discovered,” said Amir Dossal, a special representative from the UN on hand at the event. He said the gap between tech talent and tech opportunity is widest in the “STEM” fields of Science, Technology, Engineering and Math. To come up with an innovative way to solve that problem, 100 thought leaders will be holed up on a big 747 that can hold up to 345 passengers. BA has hired Palo Alto’s well-known design firm IDEO to help orchestrate this very special flight—and get the job done. To help them find and invite those 100 bright minds, BA tapped into the networks of several Bay Area big shots such as Leor Stern of Google, Gerald Brady of the Silicon Valley Bank, Celestine Johnson of Innovation Endeavors, Marguerite Gong Hancock of Stanford, Rhonda Abrams of The Planning Shop, Duncan Logan of RocketSpace, and Todd Lutwak at Andreesen Horowitz. BA has also partnered with the UN and the Decide Now Act (DNA) Summit in London. Combine a long, cold winter, spiking gasoline prices, and an improving economy. Then fold in a very early Easter and you have the recipe for what could be a very crowded and expensive spring travel season. 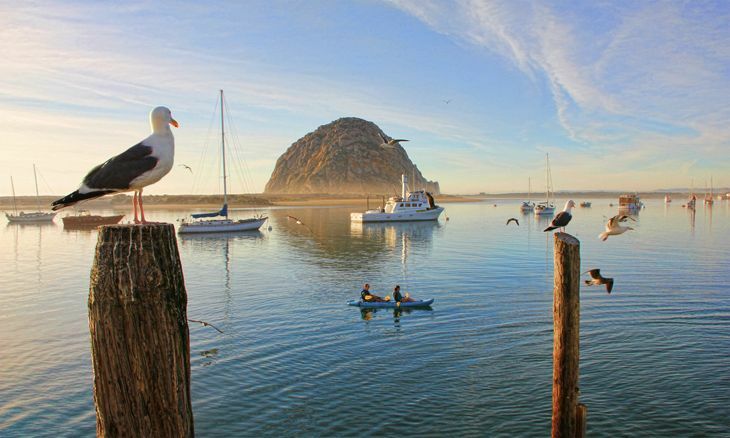 To avoid the highest prices and the possibility of sold out flights, hotels or rental cars, those planning March trips should make reservations as soon as possible– especially if headed to popular spring break destinations from the Bay Area such as Southern California, Arizona, Mexico, Hawaii, and Rocky Mountain ski resorts. 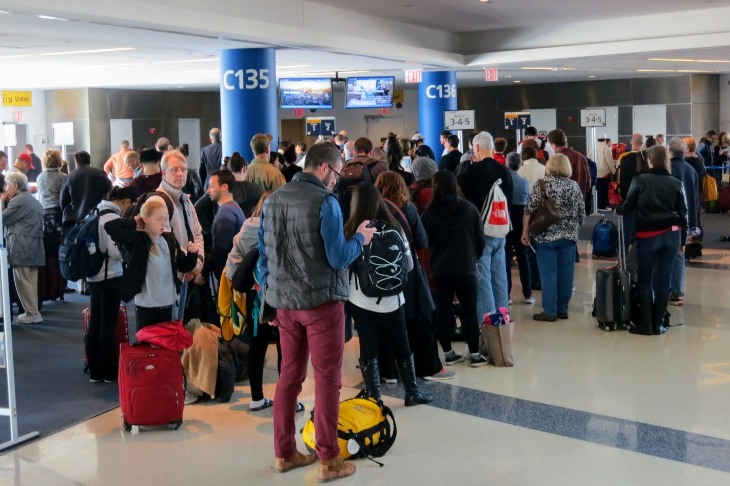 Due to an unusually early Easter (Sunday, March 31), March is going to be a month when college students, families and business travelers converge on the nation’s airports, highways and hotels. 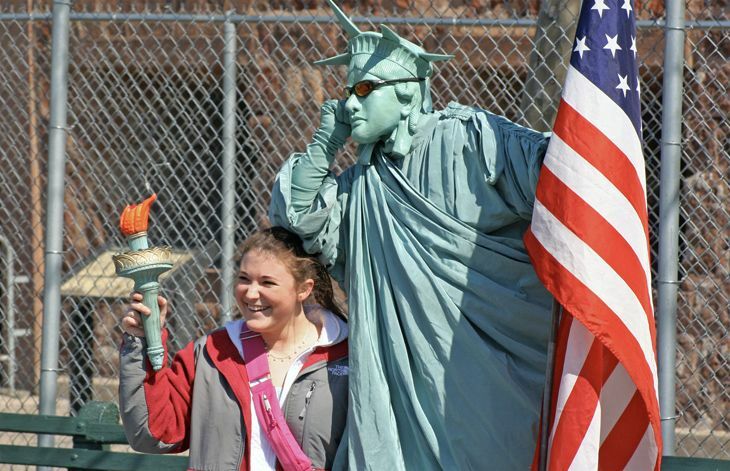 Collegiate spring break will peak in mid-to-late-March during mid-semester break. Family spring break will peak during the last week of March when most elementary and high schools close prior to Easter weekend. 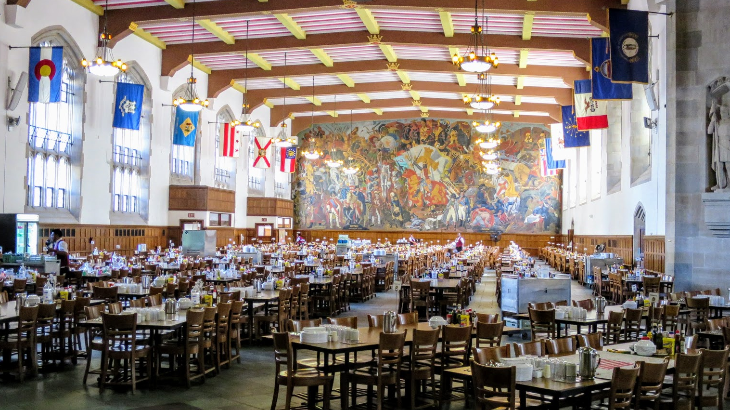 To avoid the biggest crowds at airports, try to avoid traveling on weekends during the peak collegiate spring break period–from roughly March 8 through April 1. 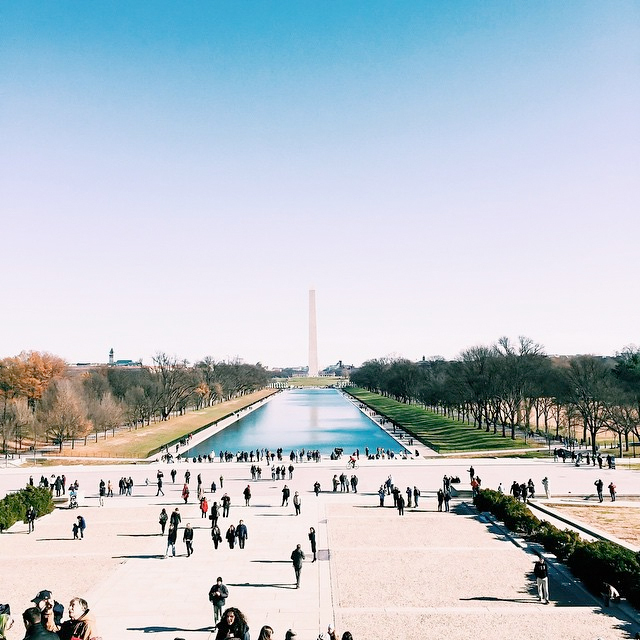 If you are flying on Fridays, Saturdays or Sundays during March, you’ll find airports in or near college campuses and warm weather destinations packed with vacationing students, creating longer lines at airport security. 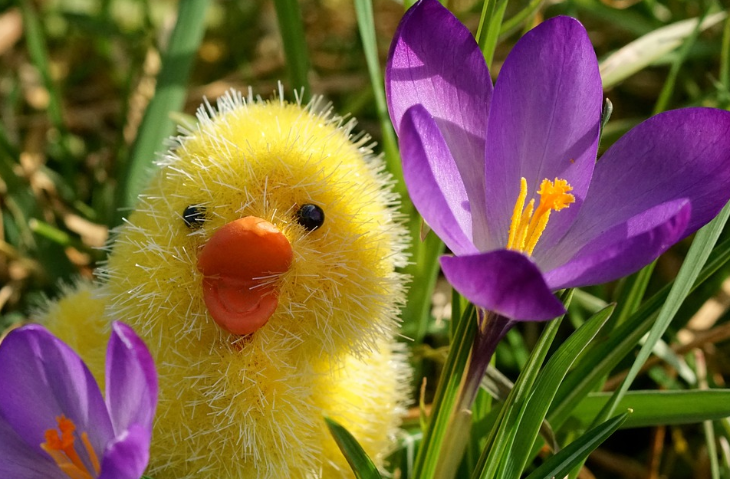 Also, beware of crowding and possible delays on highways and skyways on the days leading up to and shortly after Easter Sunday, March 31. 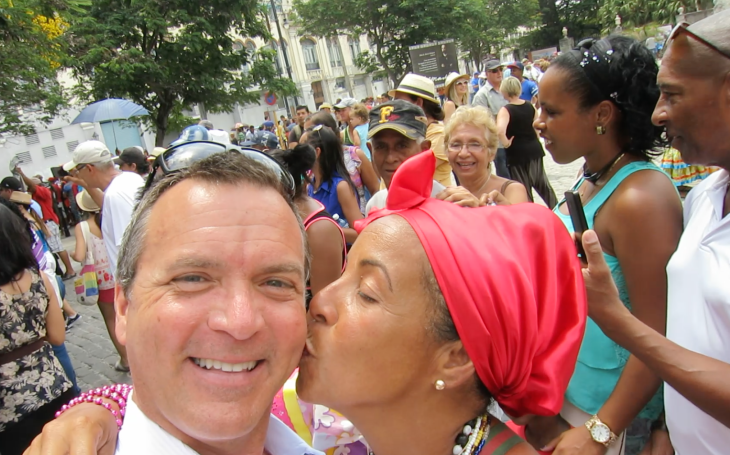 Are you signed up for travel updates, deals and news from TravelSkills blog for TravelSkills Readers? Subscribe today! It’s free. 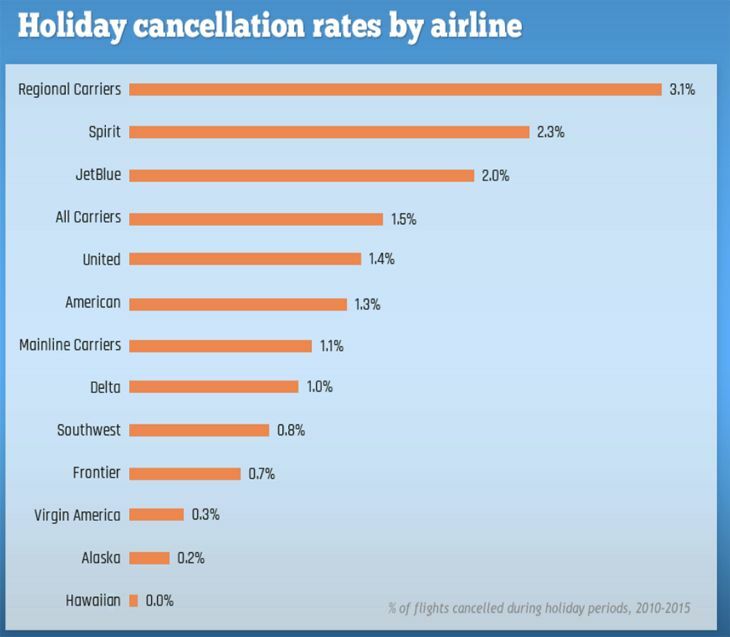 Since January 1, airlines attempted three across-the-board fare hikes. The first two failed. The jury is still out on whether or not the third one will stick. But don’t think that this means prices will not rise. 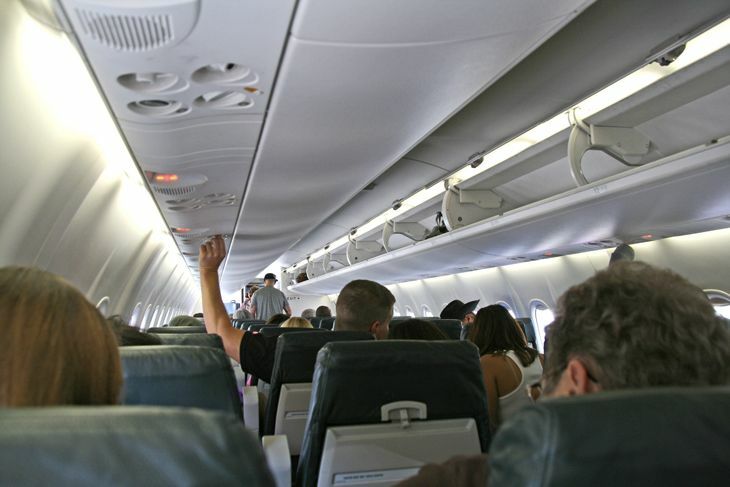 Over the last several years, airlines have reduced the number of seats flying. At the same time, improvements in the economic outlook and consumer confidence are translating into more demand for air travel— and when you have high demand and limited supply, prices rise. Therefore, spring travelers should budget for higher airfares (up 5-10% compared to last year), and more fees. Welcome new readers! If this information was helpful to you, please subscribe to TravelSkills via e-mail– and tell your friends about it, too! How often do you get to take a happy trip to one of the top 10 happiest cities in the world? The infographic below is based on a perception survey by GFK Custom Research, as well as factors like number of outdoor attractions, shopping centers, and cultural locations. Which city do you feel should have made this list, but didn’t? Leave your comments below. 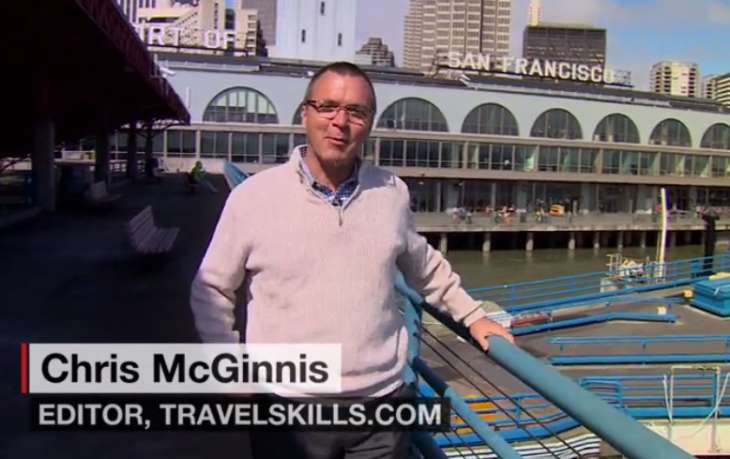 Have YOU signed up for TravelSkills– the Bay Area Traveler blog? Get crackin’! Enter your email in the field on the upper right side! Hello TICKET readers! We hope you are having a great summer. We’ve been busy working on new endeavors. 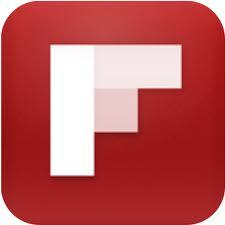 The best way for you to keep up with what we are reading and seeing this summer is via Facebook and Twitter. 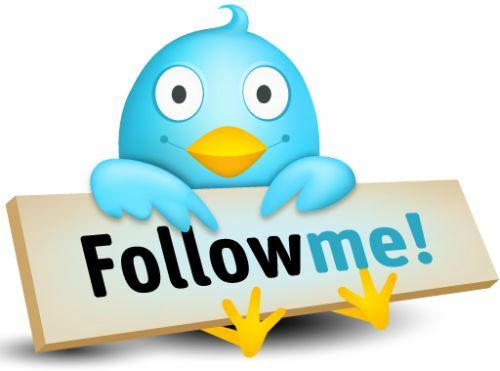 If you are not already following us on these outlets, please sign on today! NO MORE DELTALINA? If you are a fan of Delta’s popular 2008 safety video and the lovely Deltalina finger wag, get ready for a surprise. Rumor has it that later this year Delta will be unveiling a new safety video featuring a different cast of crew members– with a possible cameo appearance by flight attendant Katherine Lee, a.k.a Deltalina. The new video is reportedly going to be light hearted and funny to attract the attention of those who don’t think it’s important to watch. Delta has neither confirmed nor denied the rumor of a a new safety video. Have you ever had Deltalina as your flight attendant? How do you feel about Delta possibly changing its pre-flight safety video? NO MORE COMAIR. Delta has finally pulled the plug on long-ailing Comair– a move that continues the shrinkage of Delta’s once large hub operation at Cincinnati. Comair was founded in 1977. Delta purchased Comair for almost $2 billion in 2000. TRIPLE MILES. You’ll earn triple Delta SkyMiles at Marriott brands beginning with your second stay from July 1-October 31. Details here. DISADVANTAGED MULTI-MILLIONAIRES? Several of Atlanta’s politically connected elite with lucrative airport concessionaire contracts (including Maynard Jackson’s heirs) may not deserve “disadvantaged” designation…and some have never even visited the stores that they “own.” According to this investigative story by the AJC, there’s a standoff between the FAA and GDOT over the recent reshuffling of airport contracts. DELTA DOES DALLAS. With Southwest Airlines in its crosshairs, starting Sept 5, Delta will launch 5x daily roundtrips between ATL and close-in Dallas Love Field using 50 seat CRJs. Delta is able to get around the Wright Amendment by using aircraft with fewer than 56 seats. Since Southwest only flies much larger 737’s, it can’t offer ATL-DAL flights until the Wright Amendment expires in 2014. Would you fly to Dallas Love? Or will you stick with the more familiar DFW? Leave your comments below! ATL-SFO&LAX. 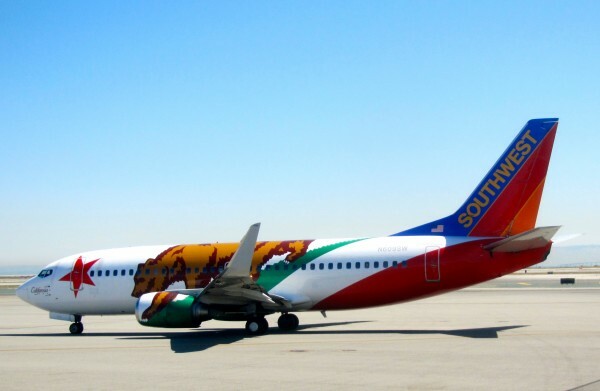 Southwest Airlines begins offering a two daily nonstops between ATL and San Francisco on September 30. Outbound flights depart ATL at 11 am and 6 pm. Return flights depart SFO at 7:40 am and 3:00pm. 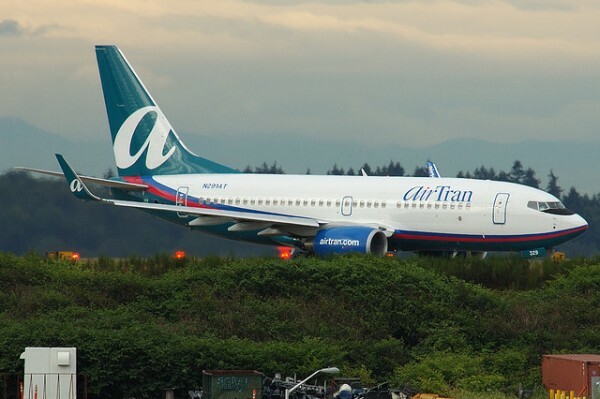 AirTran will continue with its two daily, two-class roundtrips through at least early March 2013. Similarly, both Southwest and AirTran now fly nonstop between ATL and Los Angeles LAX. Eventually, as AirTran phases out, your only nonstop, non-Delta option on these 4-5 hour flights to the west coast will be on Southwest. AirTran has already turned over the long ATL-Seattle run to Southwest only. It’s on these transcons that the absence of AirTran’s business class is going to be felt most! PRIORITY CLUB 24-HR SALE. From noon Aug 15 until noon Aug 16, you can book Holiday Inn Resorts using Priority Club points for half price. Only good for trips September 4 thru November 2– but not a bad deal at all if you have the points and the time off. PRE-CHECK GROWTH. We are hearing that PreCheck lanes at ATL security are frequently longer than other, supposedly less exclusive lines. Agree or disagree? PreCheck expanding fast, and is now available for Delta flyers at Charlotte, Chicago ORD Terminal 2, Detroit Checkpoint 2, Indianapolis Checkpoint A, New York La Guardia Terminal D, Las Vegas D gates, Boston-Logan Terminal A, LAX Terminal 5, Minneapolis Checkpoint 4, Orlando East Checkpoint, Portland PDX, Washington-Reagan South Pier, Salt Lake City Terminal 2, Seattle Checkpoint 5 and Tampa Terminal E.
LOSS OF SERVICE. This month AirTran ends nonstop service between ATL and Sarasota. 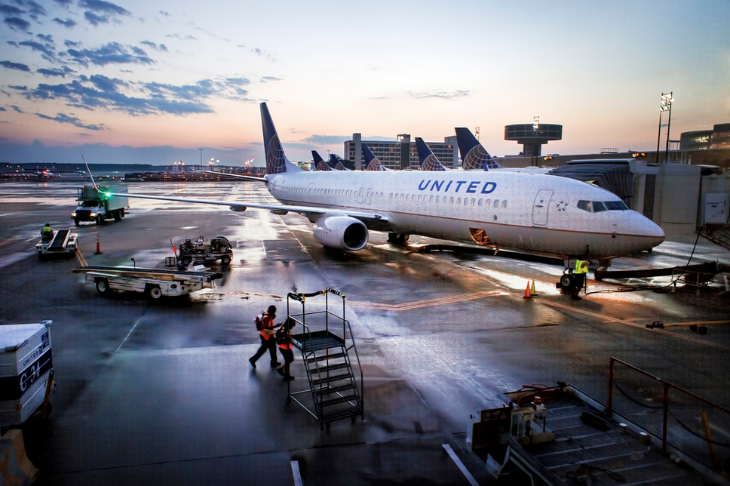 It’s also dumping its popular nonstops between ATL and New York’s Westchester County airport. On September 1, Delta will stop flying between ATL and New York’s Stewart Airport, located about an hour north of NYC. Delta has axed CRJ nonstops between ATL and Meridian, MS, to be replaced by Silver Airways, which uses Saab turboprops. BEAUTIFUL LOUNGES. 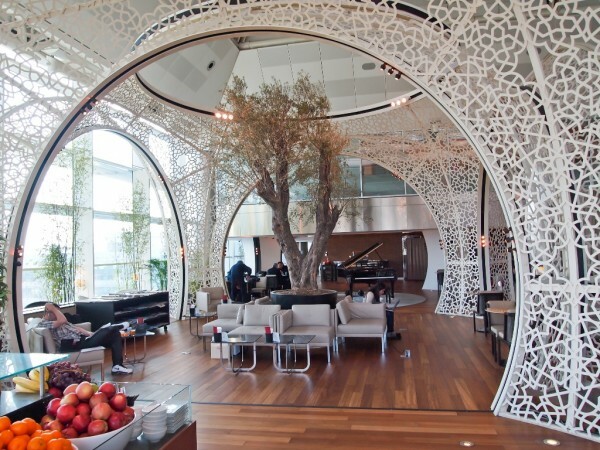 Check out my latest Executive Travel Magazine slideshow on the World’s most Beautiful Airline Lounges! (NOTE: Look for the purple “Launch Slideshow” box to the left of the copy.) Do you agree with my choices? DELTA WI-FI OVERWATER. Delta announced that starting in early 2013 it will begin installation of new satellite-based inflight Wi-Fi from Gogo on 150 long-haul internationally configured Boeing 777, 767, 747, Airbus 330 and transoceanic Boeing 757 aircraft. Currently, the Gogo system only works via a land-based network of antennae in North America. SORRY, SILVERS! The Wall Street Journal ran an interesting story on the plight of silver elite level members of Delta and United. It points out that the pool of elite level flyers has swollen in recent years, primarily due to mergers and exaggerated credit card mileage bonuses. At The TICKET, we covered this sad state of affairs in 2010 and that post remains the #1, most read and commented-on post of all time. DELTA PENTHOUSE. Take a look at Delta’s new business class configuration upstairs in its 747s. BETTER FLYING ON BIG DELTA JETS. The recent announcement of Southwest/Air Tran’s 717 fleet moving to Delta is good news for those who hate the small 50-seat jets operated by Delta Connection. These new planes are part of a plan to phase out the smaller jets (which have poor efficiency in the current high fuel environment) while maintaining similar capacity in the marketplace. The new 717s, not expected to come online for at least a year, will be outfitted with 12 first class seats, 15 Economy Comfort seats, and 83 economy class seats, all of which will have access to Gogo wi-fi. NEW NEW YORK FLIGHTS. Delta will launch a series of new nonstop flights from New York LaGuardia and JFK to feed into its growing New York hub. A new daily LaGuardia to Bermuda flight will operate aboard a Boeing 737-800 beginning in April 2013. Nonstop service to Nassau will switch from weekly to daily from LaGuardia beginning in December. 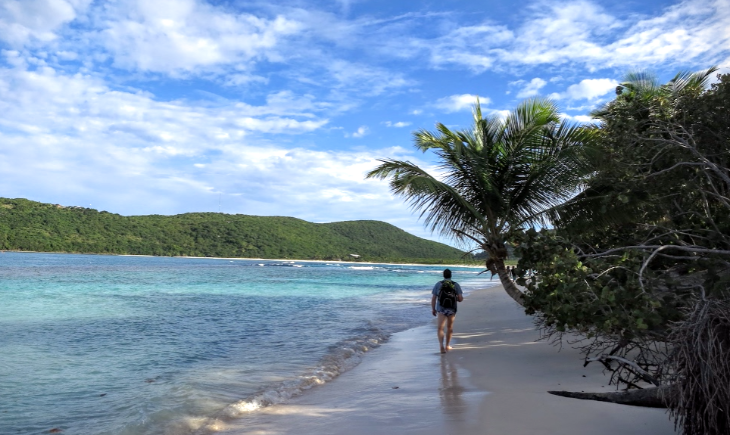 From JFK, new daily service to Montego Bay, Aruba, and Punta Cana will please sun seekers who want to get away from the cold. These new daily flights begin in December just in time for the holidays. 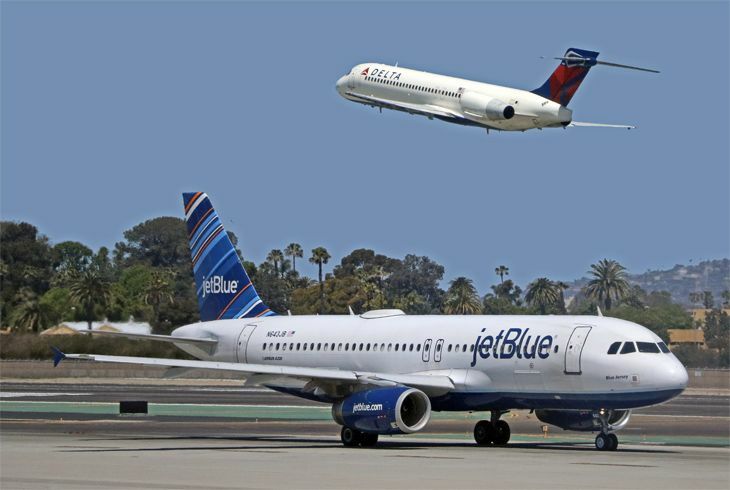 Floridian-bound travelers will also have expanded service from LaGuardia with double dailies to Sarasota/Bradenton and additional frequencies to Miami, Ft. Lauderdale, and Ft. Myers. The latter also will gain a new daily nonstop to JFK. DON’T CRY FOR ME. In anticipation of Aerolineas Argentinas’ entry into SkyTeam, the agreement has now been inked to allow earning and redeeming of SkyMiles on the Argentine national carrier’s flights. The airline should formally join SkyTeam later this year. HOLA MEXICO. 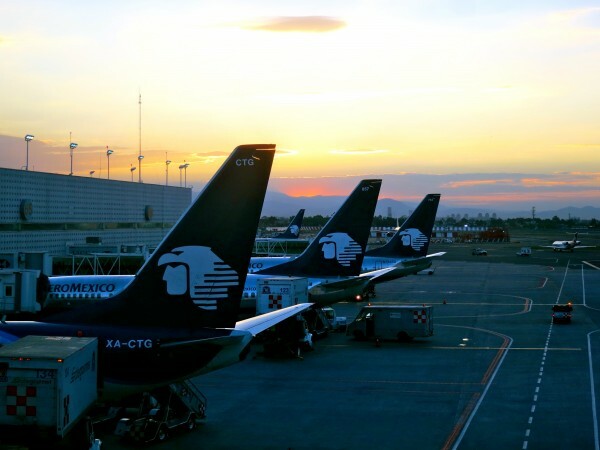 In addition to Delta nonstops, SkyTeam partner Aeromexico now has nonstops between Atlanta and Mexico City. Daily flights using an Embraer 190 depart Atlanta at 2:40 p.m. and arrive at Mexico City at 5:25 p.m.; flights depart Mexico City at 9:05 a.m. and arrive at Atlanta at 1:40 p.m. If you are headed to Mexico City soon, be sure to see my latest BBC Travel story Business Trip: Mexico City for the latest and greatest tips and info. DESERT-BOUND? Saudia Airlines has officially joined SkyTeam opening dozens of new destinations throughout the Middle East and the Indian subcontinent that were previously unreachable with partners. 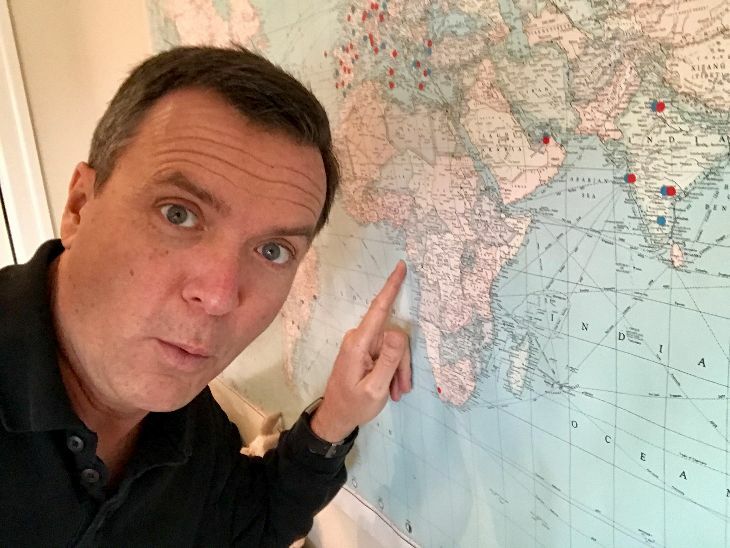 These include cities in Sri Lanka, India, Pakistan, and the Middle East. While they may not be at the top of your vacation plans, many are important business destinations and this strengthens SkyTeam’s global position since most airlines in the Middle East are not part of a larger alliance as of yet. 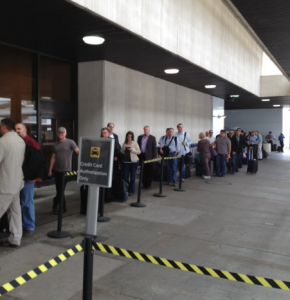 Long waits for cabs at ATL turning away convention biz. BUH-BYE PARTNERS. Indian carriers Jet Airways and Kingfisher Airlines will discontinue their partnership with SkyMiles Oct. 1. Until then, travelers can earn and redeem miles on both carriers on applicable fares. 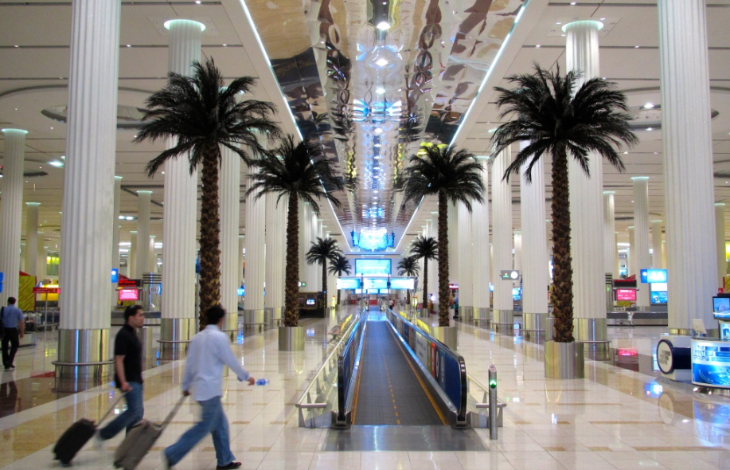 This is a great value as both airlines offer excellent networks within the region although Kingfisher has been undergoing severe financial problems as of late. >To get to new international terminal F, drive down I-75, NOT the old route via I-85. The MARTA does not go all the way to the new terminal. There is a shuttle bus between (old) domestic terminal and new terminal F, but allow an extra half-hour if you choose this option. >International departures may go out either from F or E, but all departing international passengers are processed at the new terminal F.
>Arrivals: International flights may arrive at either F or E, but you and your baggage will be processed through F, so arrange ground transport at F.
>Baggage from all international flights to Atlanta will be picked up at F.
>If your departing international flight has a USA stop before going international, ignore these instructions and go to domestic terminal as before. >If your arriving international flight has a USA stop before arriving in Atlanta, ignore these new instructions; you will arrive at domestic terminal as before. 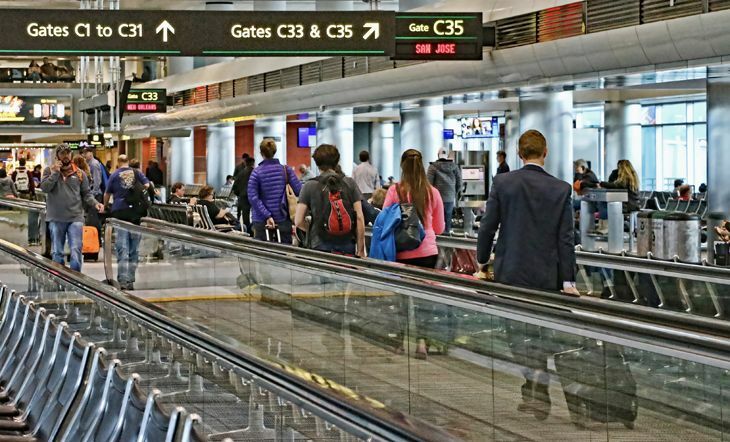 Speaking of Terminal F, check out what the AJC has to report on that LOOOONG walk between Terminal E and Terminal F reported by TICKET readers earlier this summer. Did you get a shiny new iPhone or smart phone for Christmas? Are you worried that it might cost you a fortune if you dare to turn it on overseas? 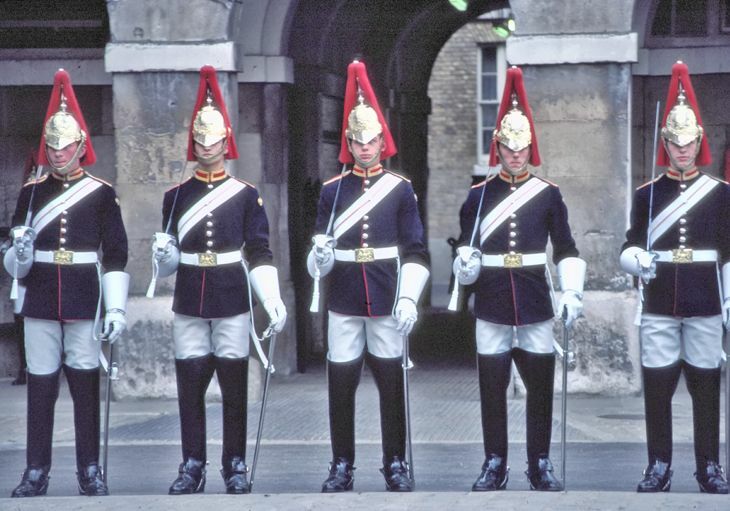 In this guest post, longtime TICKET reader Jim Braude offers some excellent tips for staying connected when overseas– whether you use an iPhone or an Android device. Braude divides his time between Atlanta and Paris managing a delightful collection of guest apartments in both cities that he rents to travelers. 1 – Use the wi-fi! Most hotels and all of our apartments have unlimited wi-fi use. Of course, it makes sense to do as much data transfer as possible using the wi-fi network, as it’s the 3G that nails you if you go over your limit (see next point). More coffee houses are adding wi-fi too as a free perk, but be careful if non secured. >International roaming – data – 125MB for $49.99 – this is greatly reduced recently. If you use it with ONAVO (see below) it’s more than enough for a once-an-hour check of emails for a full month. >International roaming – voice – $5.99. Cheaper long distance to the US. But I use SKYPE when on wi-fi instead, which is even cheaper. 3 – SKYPE – nothing beats Skype to Skype video calls, free and with the newer Macs you get really clear sound and picture. 4 – ONAVO is a free app for iPhone that compresses data and greatly reduces the amount of data transmission– it literally halves your incoming data bill. 5 – PHONE TAG – for $9.99/month. I forward my incoming voice calls to my phonetag number, it then computer-generates a voice to email message, and sends me an email. This also makes it unnecessary to check voice mail which I prefer. It’s not perfect– occasionally the computer will make some odd choices in its translation from voice to text– but it includes an attachment of the actual voice message that you can listen to if needed as a back up. 6- CHANGE SETTINGS. 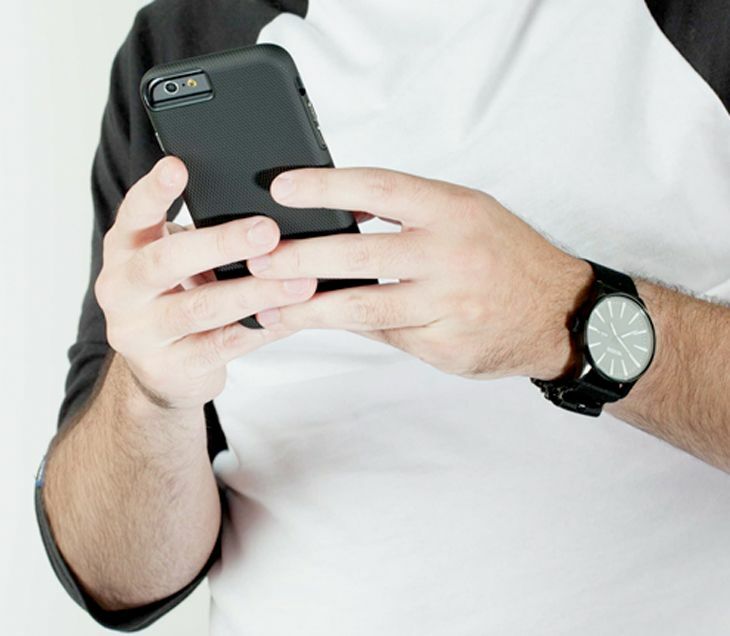 Change how often your phone checks for email from every fifteen minutes to every hour during the day and change to MANUAL setting at night unless you have wi-fi setting and wi-fi remains on 24/7. 7- WHATSAPP – an almost free app (99 cents) for international texting, works great [across iPhone, Android and Nokia platforms]. 8 – GET AN APARTMENT – when a homeowner gets cable service in France, it costs only 5 euros more per month for the owner to add unlimited free calling to the US or Canada from a fixed line. Warning: some carriers do NOT allow free calls to mobile phones–only to fixed lines– so confirm that first. And confirm whether the country you are calling is on the free list. When you install cable (and wi-fi and phone) in your apartment, calls to the US and Canada are almost always free, from both both fixed line and mobile. 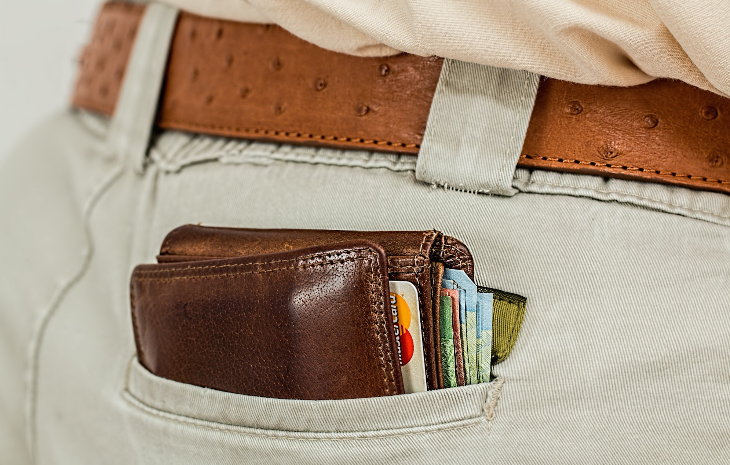 9 – PICKPOCKETS – the number one most stolen item in France is the iPhone. DO NOT leave it on a table top at a cafe. A young man covered mine with a newspaper as he asked me a question and took my iphone away in seconds, but I caught him in the act. Avoid using on the subway as you are alerting those around you that you are a prime target. Never leave your iphone in backpack or purse that is behind you rather in front of you. Do you have any other money-saving or hassle-reducing tips on using your mobile phone overseas? If so, please leave your advice in the comments box below!